1034-139 - Black-backed gull (larus dominicus) Brown Bluff, Antarctica, Southern Ocean. 985-22 - Please refer to our website (click on URL below) for CREDITS, CAPTIONS and COPYRIGHT DETAILS. Any problems please e-mail us directly. 921-830 - Wild Adult Female, Steller sea lions (Eumetopias jubatus), new pup, fresh born. 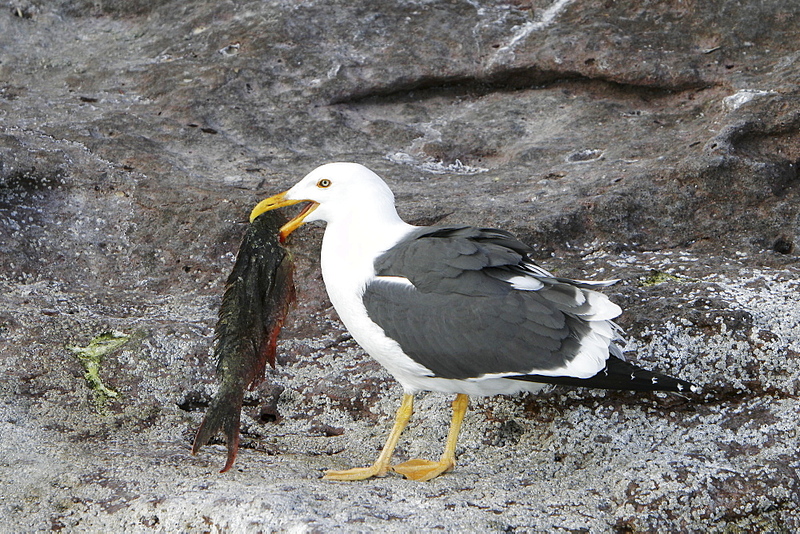 Slaty Back Gull picking at placenta and discharge from fresh born. 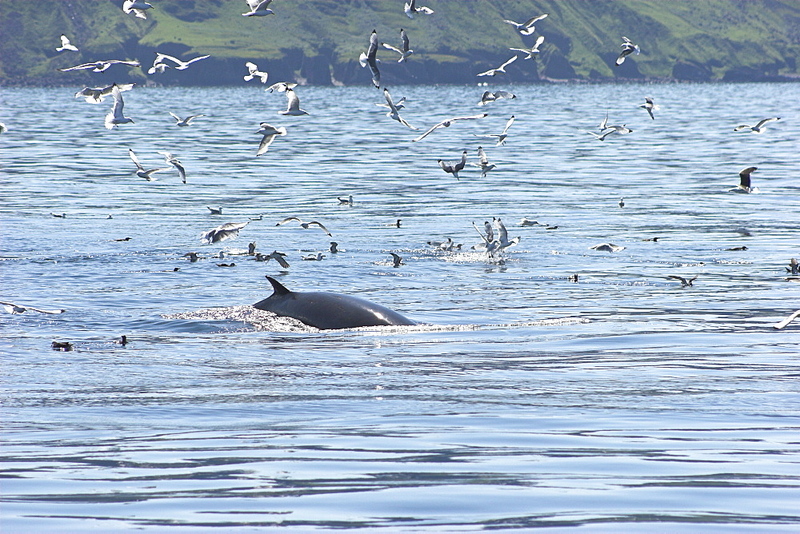 endangered, colony, rookery, haul out, raft, above water.Bering Islands (Bering Sea) Russia, Asia. 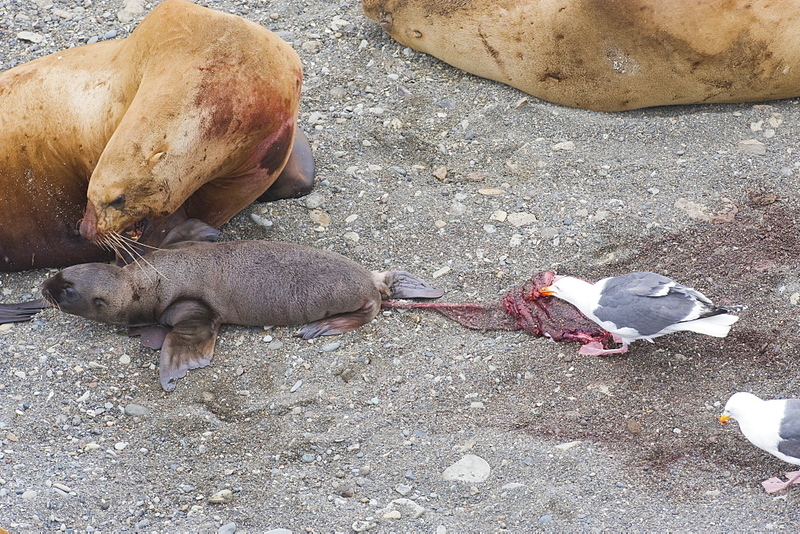 MORE INFO: This sea lion in the largest member of the eared seals. 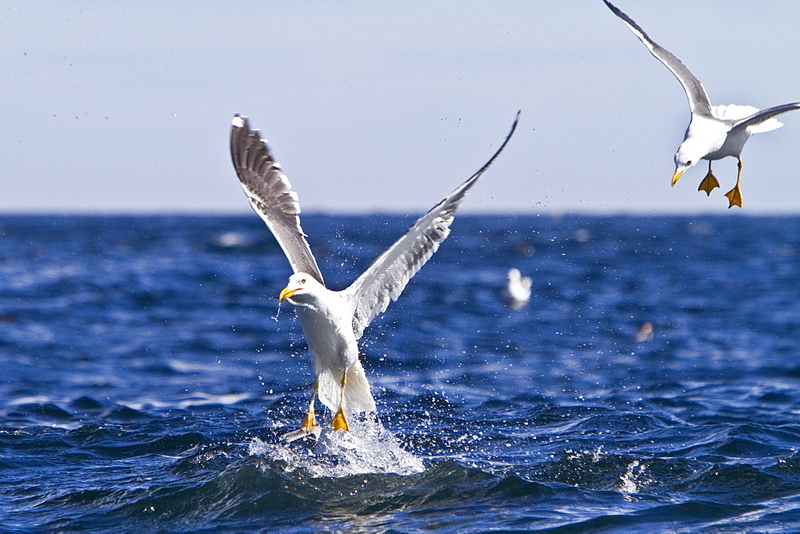 979-7920 - Adult kelp gull (Larus dominicanus) foraging for small crustaceans in Ushuaia, Tierra del Fuego, Argentina, Southern Ocean. 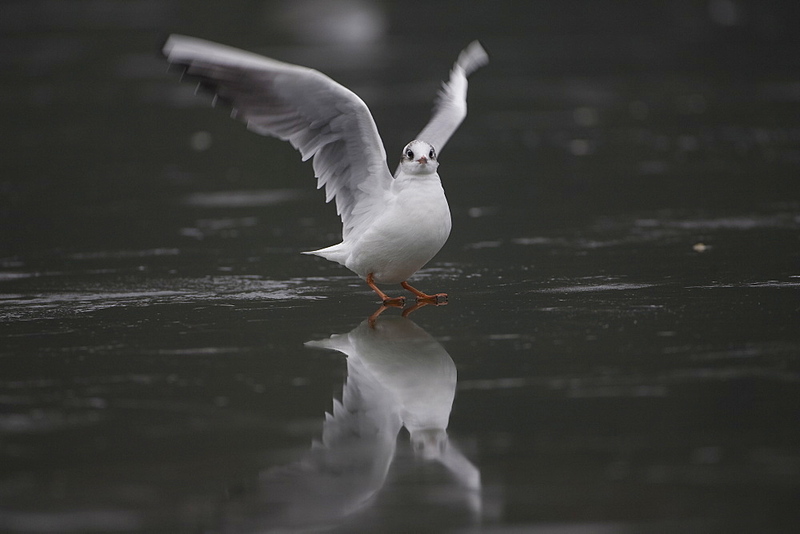 MORE INFO This is the only gull regularly found in the Antarctic Peninsula to a latitude of 68 degrees south. 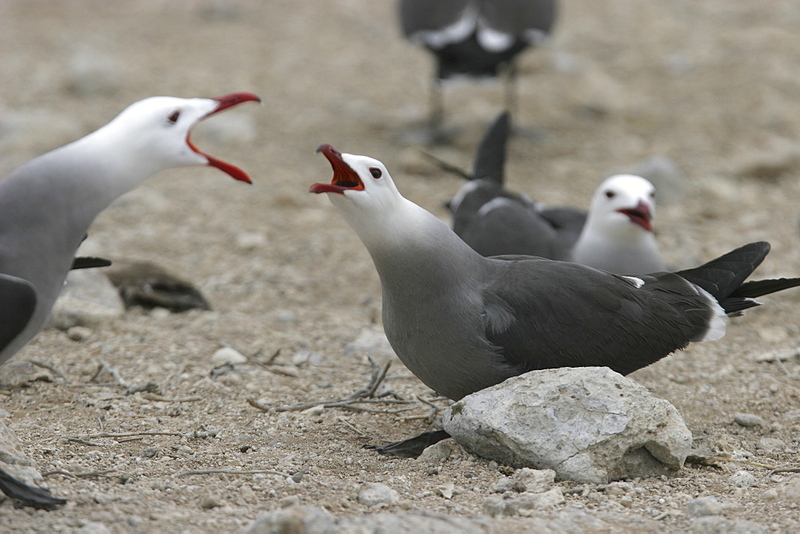 979-1940 - Heermann&#39;s Gull (Larus heermanni) mating ritual on their breeding grounds on Isla Rasa in the middle Gulf of California (Sea of Cortez), Mexico. 95% of the world&#39;s population of this species nests on this tiny island. 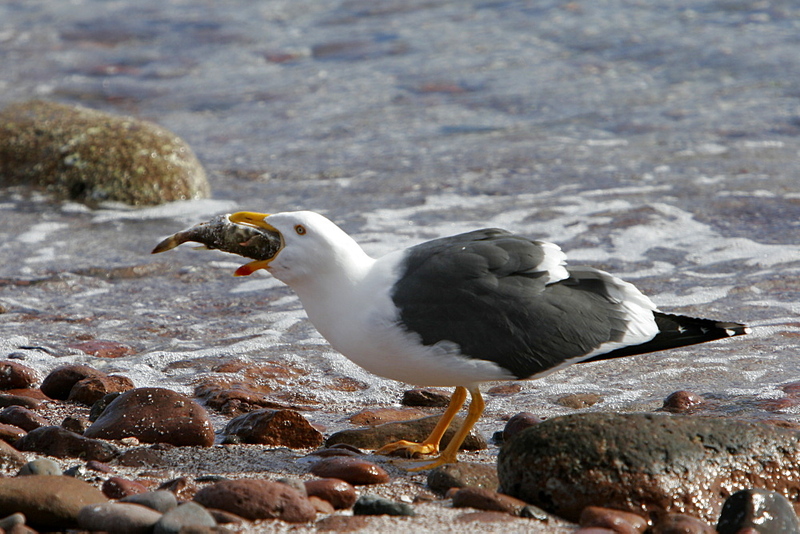 979-1934 - Adult Yellow-footed Gull (Larus livens) eating a pufferfish in the lower Gulf of California (Sea of Cortez), Mexico. 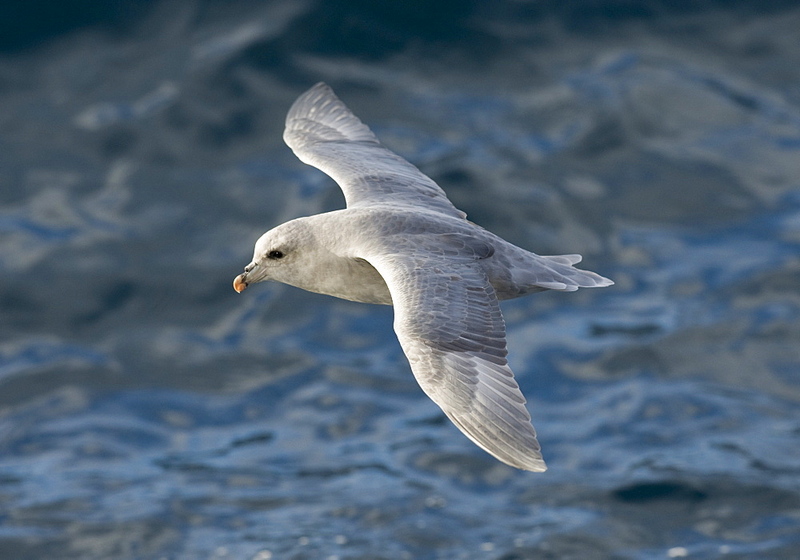 979-1733 - Adult southern fulmar (Fulmarus glacialoides) on the wing in the Drake passage between the tip of South America and Antarctica. Southern Ocean. 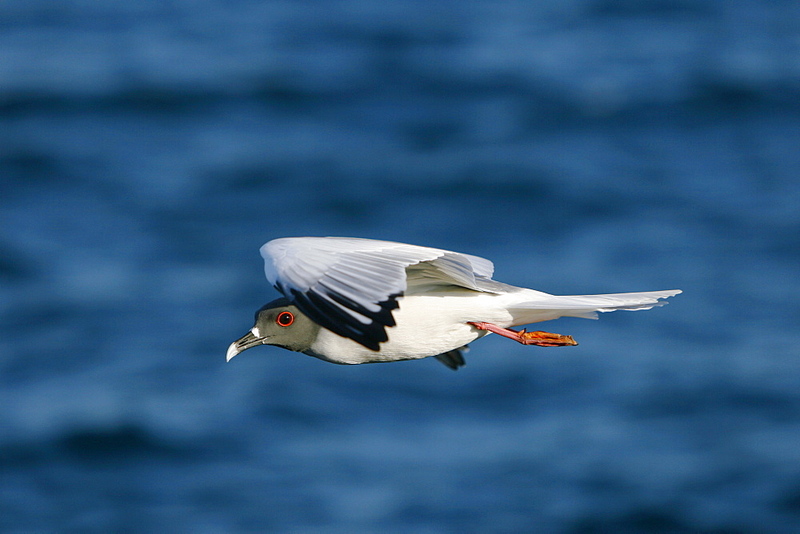 979-1949 - Swallow-tailed gull (Creagrus furcatus) in flight in the Galapagos Island Group, Ecuador. Pacific Ocean. 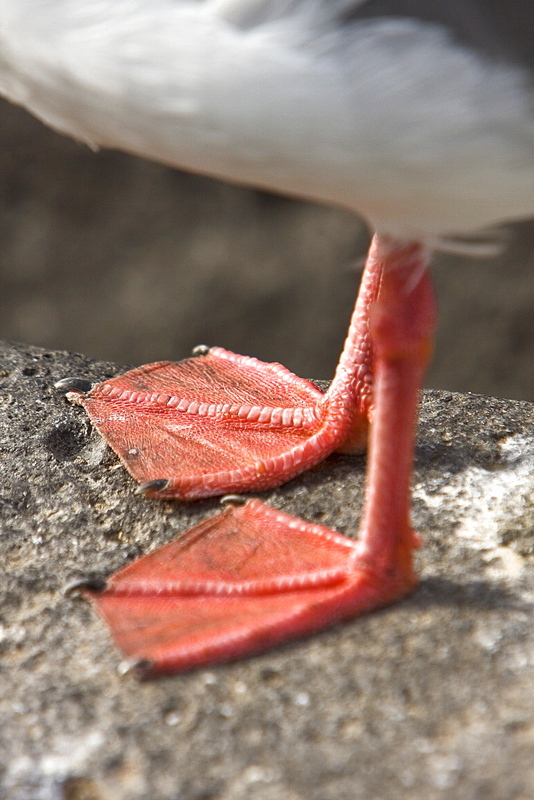 This species of gull is endemic to the Galapagos Islands. 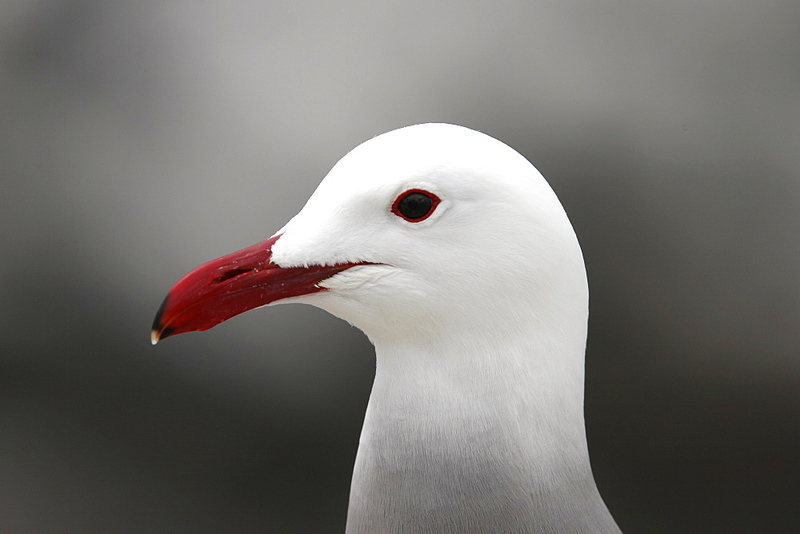 It is also a nocturnal feeding gull (note the red ring around the eye). 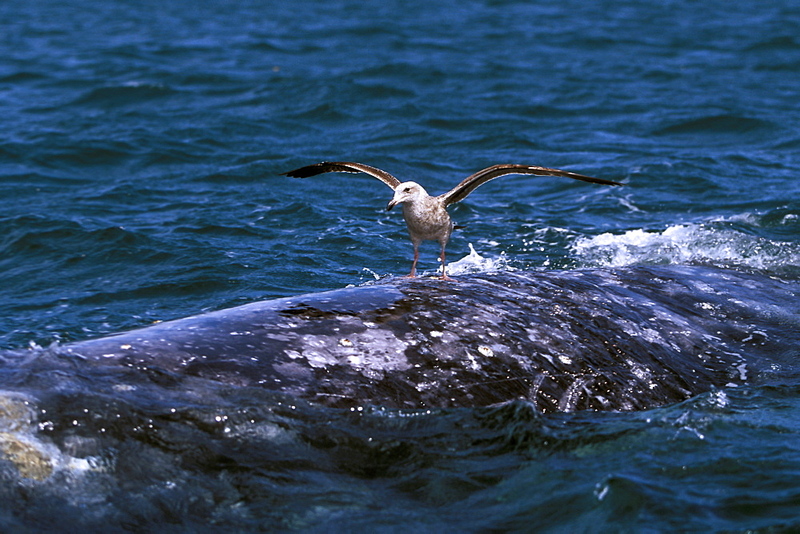 979-400 - Juvenile gull landing on the back of a California Gray Whale (Eschrichtius robustus) in San Ignacio Lagoon, Baja, Mexico. 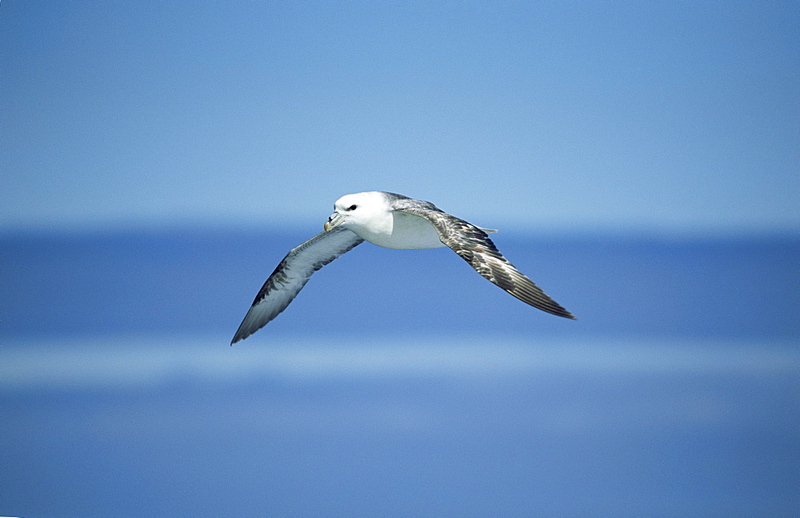 979-1737 - Adult southern fulmar (Fulmarus glacialoides) on the wing in the Drake passage between the tip of South America and Antarctica. 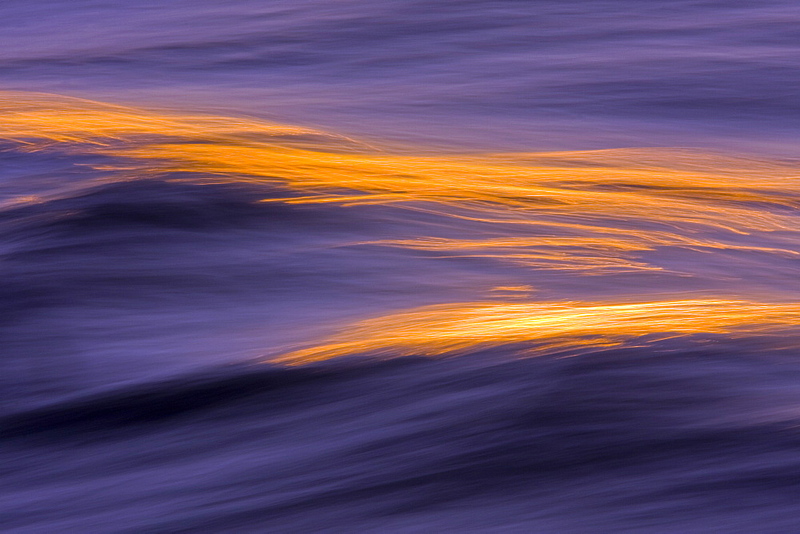 Southern Ocean. 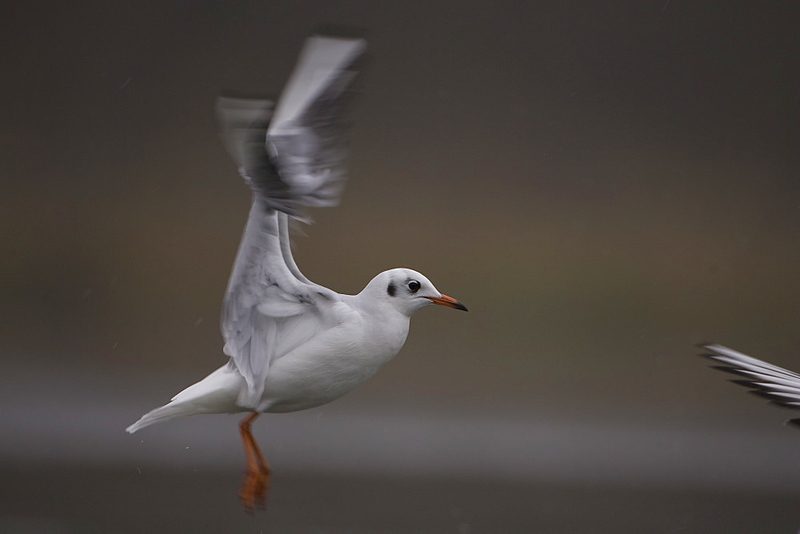 979-7005 - First winter coloration Bonaparte&#39;s gull (Larus philadelphia) in flight over the calm waters of Fresh Water Bay on Chichagof Island in Southeastern Alaska, USA. Pacific Ocean. 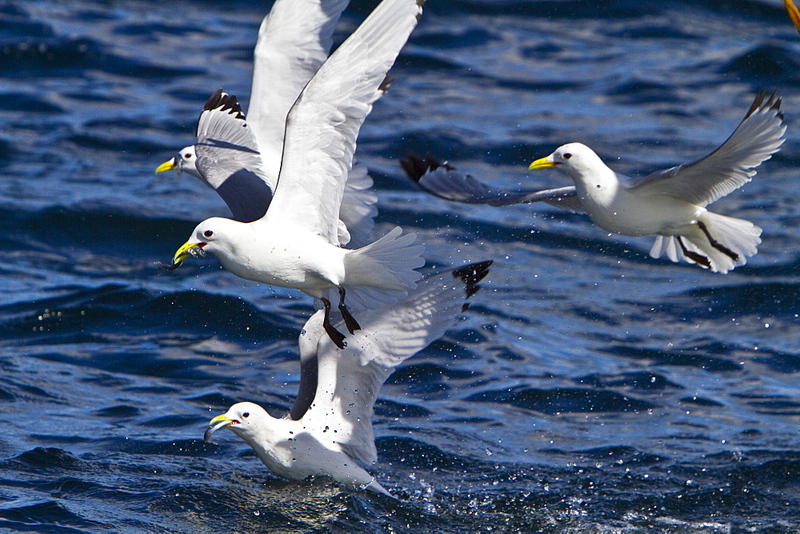 979-3397 - Adult yellow-footed Gull (Larus livens) in the Gulf of California (Sea of Cortez), Mexico. This species is enedemic to only the Gulf of California. 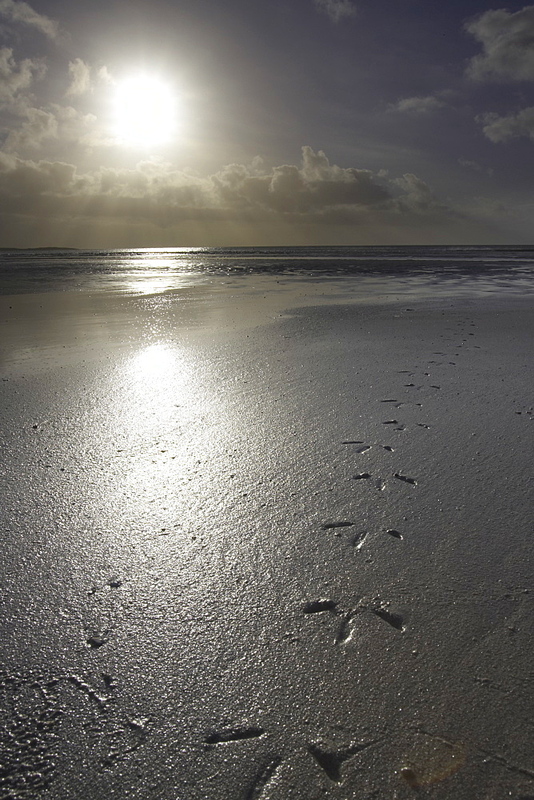 Here the gull has a clam found on exposed tidal flats of an extremely low tide. 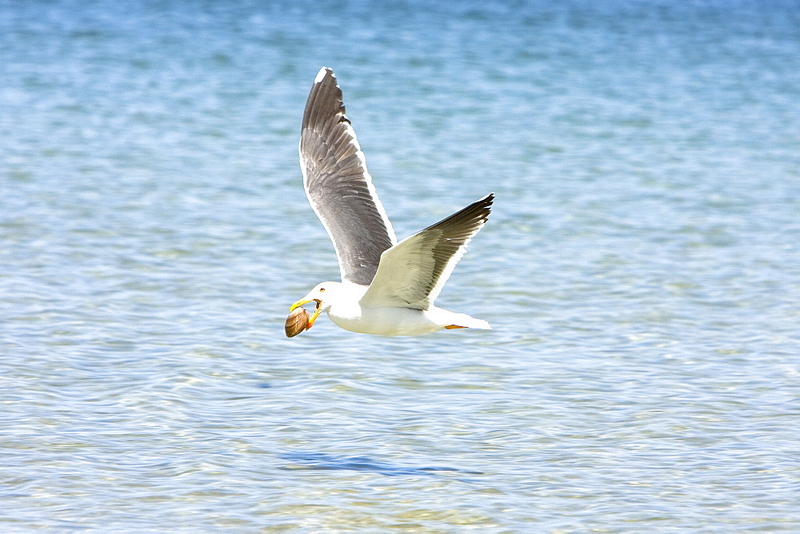 The gull will drop the clam onto rocks from above, breaking the shell and exposing the meat inside for consumption. 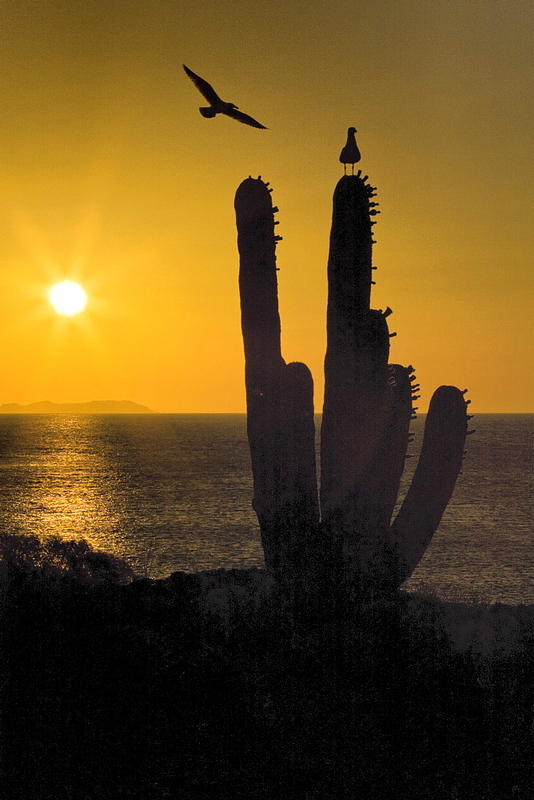 979-3111 - Sunrise over cardon cactus with gulls from Isla San Esteban in the midriff region of Gulf of California (Sea of Cortez), Baja California Norte, Mexico. 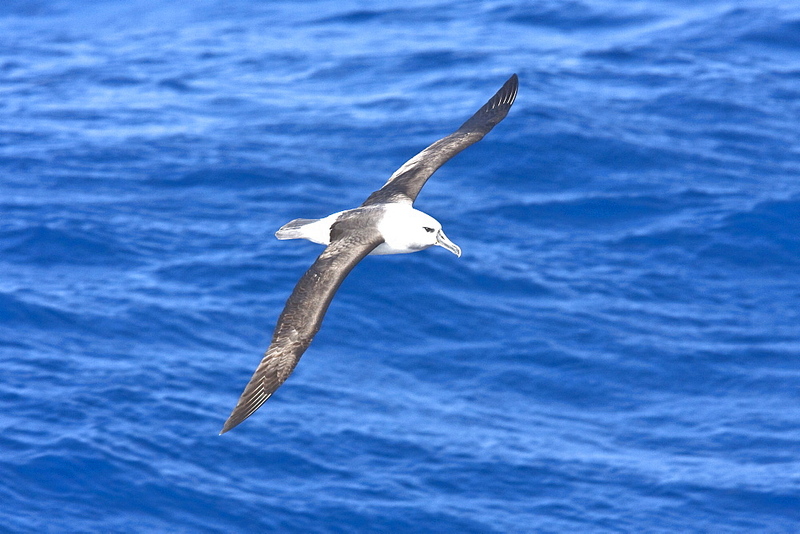 979-1794 - Adult Black-browed albatross (Thalassarche melanophrys) on the wing in the Drake Passage between South America and Antarctica, Southern Ocean. 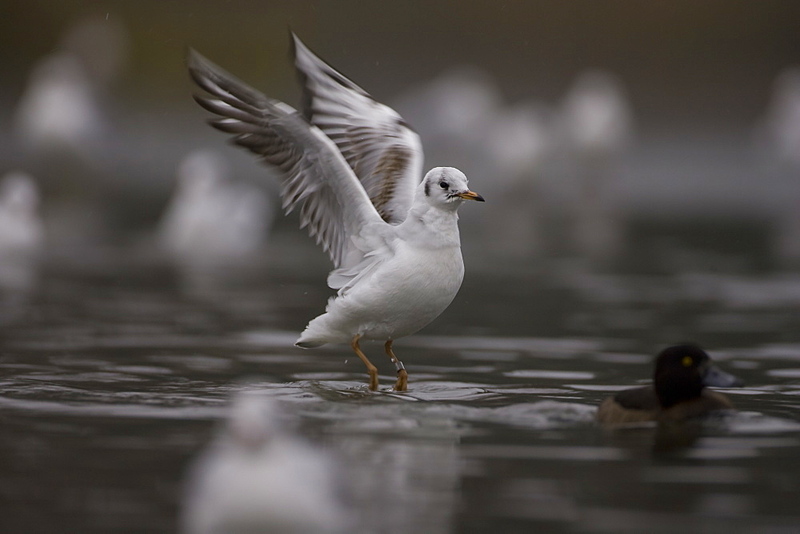 979-1943 - Adult Gull (Larus spp.) resting on calved ice from the Sawyer Glacier in Tracy Arm, Southeast Alaska, USA. 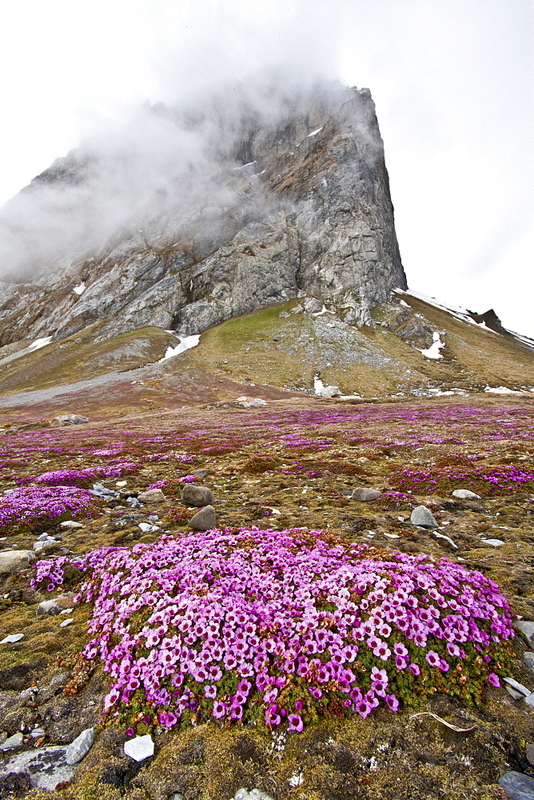 979-8772 - Views purple saxifrage in bloom at the base of GnÂ†lodden cliff in Hornsund, Norway. 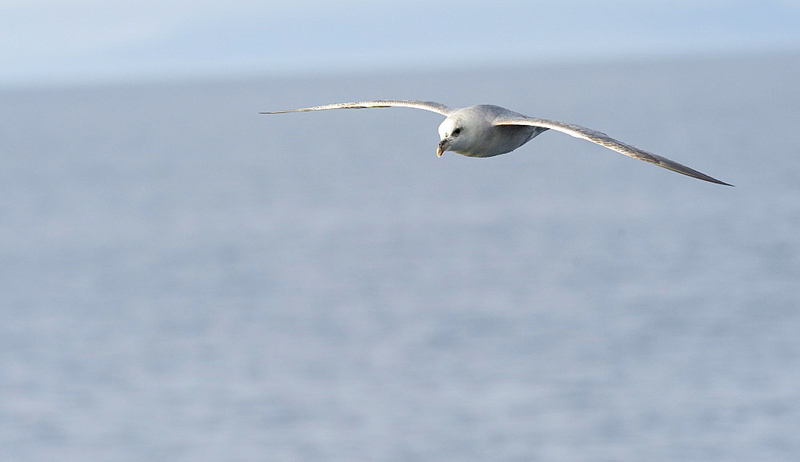 MORE INFO GnÂ†lodden is the breeding ground for black-legged kittiwakes and glaucous gulls. It is also home to Arctic fox and polar bears. 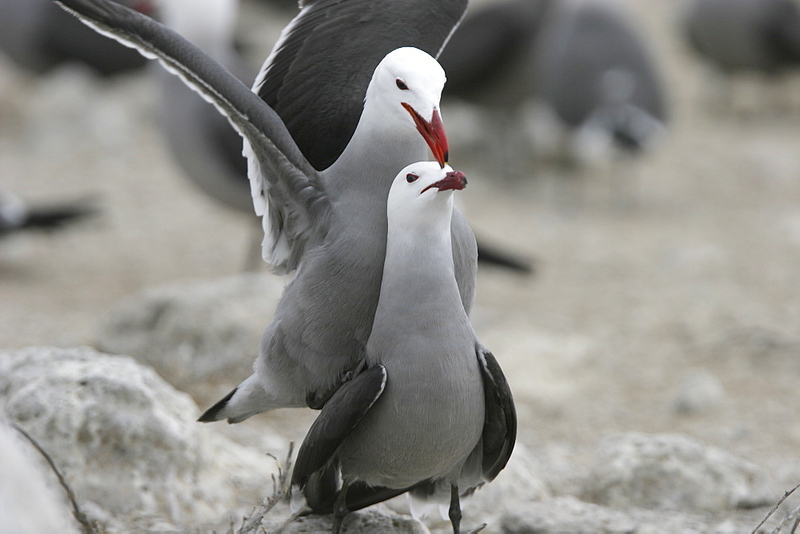 979-1942 - Heermann&#39;s Gull (Larus heermanni) mating ritual on their breeding grounds on Isla Rasa in the middle Gulf of California (Sea of Cortez), Mexico. 95% of the world&#39;s population of this species nests on this tiny island. 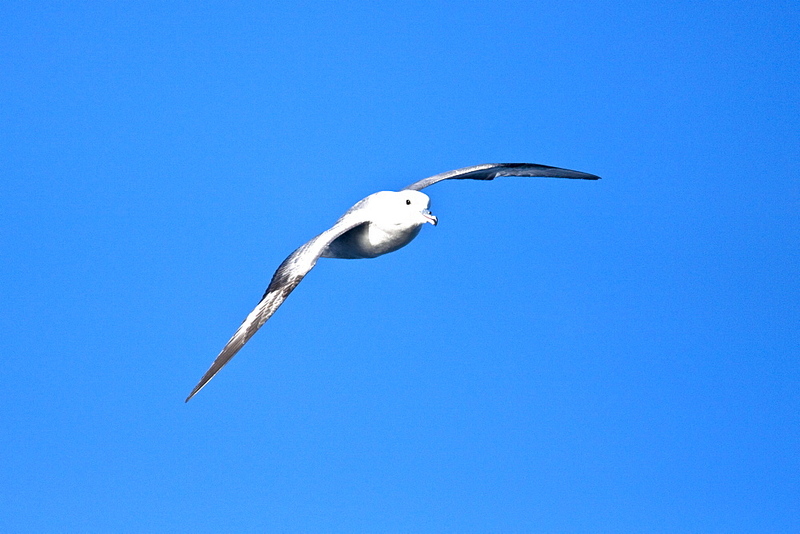 979-1768 - Adult cape petrel (Daption capense) on the wing in and around the Antarctic peninsula. 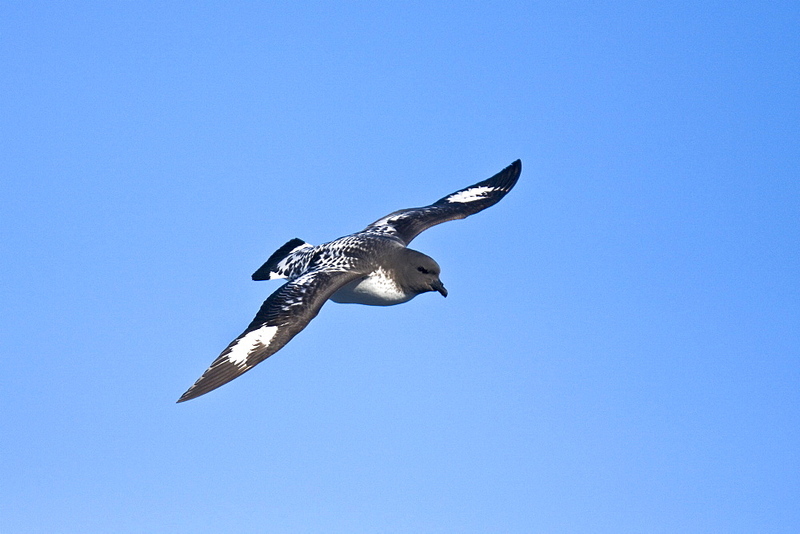 This petrel is sometimes also called the pintado petrel, the word pintado meaning &#34;painted&#34; in Spanish. 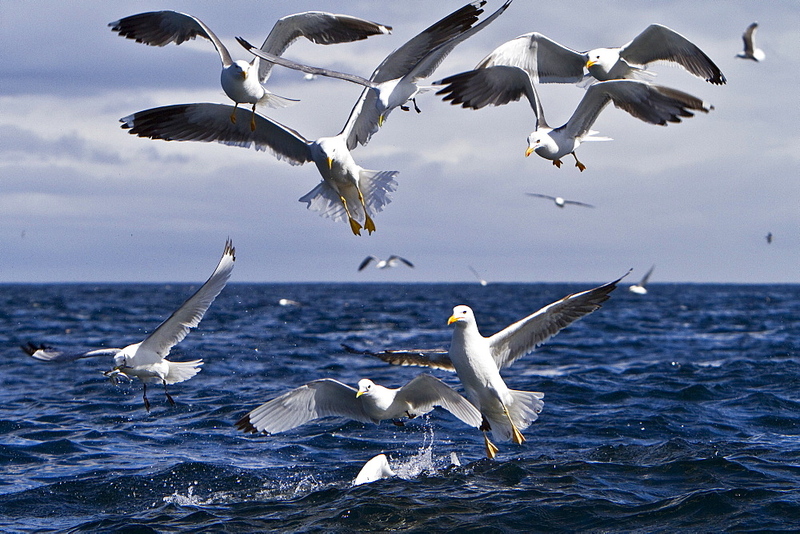 979-8948 - Gull feeding frenzy on bait ball off Fugloy Island in the Faroe Islands, North Atlantic Ocean. 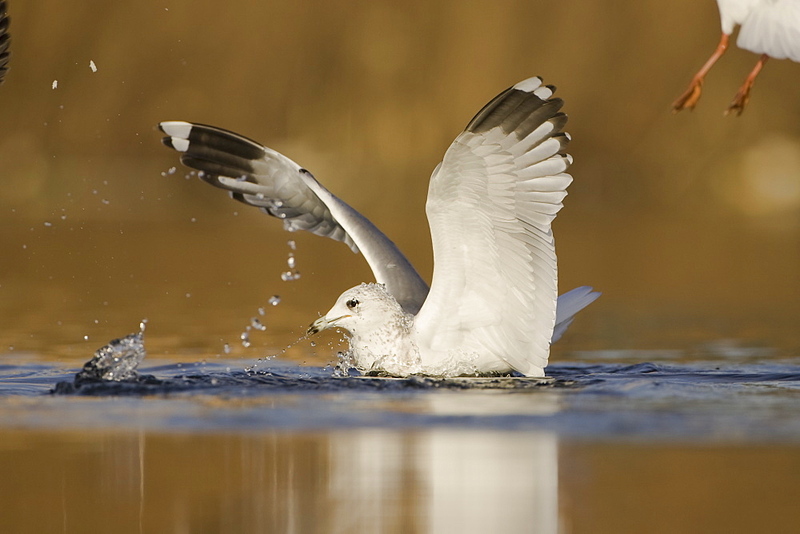 MORE INFO Hundreds of gulls plunge-diving on spawning sand eels at the oceans surface. 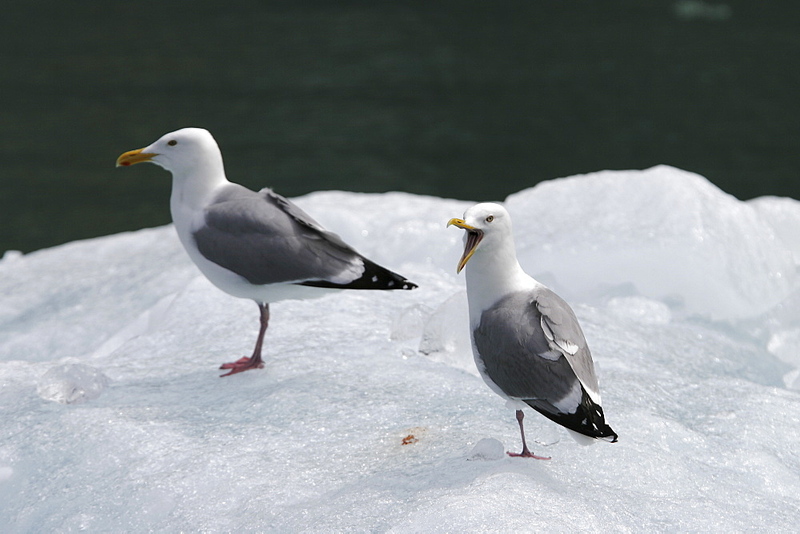 In attendance are lesser black-backed gulls (Larus fuscus), black-legged kittiwakes (Rissa tridactyla), and northern fulmars (Fulmarus glacialis). 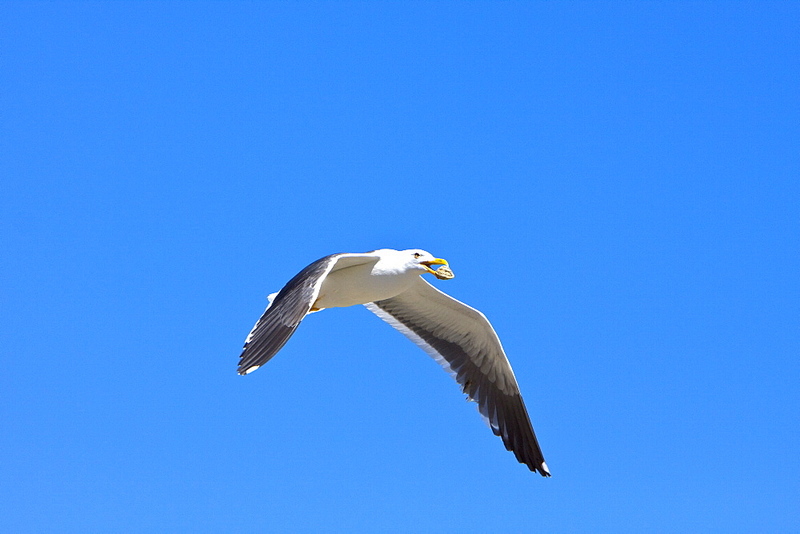 979-3398 - Adult yellow-footed Gull (Larus livens) in the Gulf of California (Sea of Cortez), Mexico. This species is enedemic to only the Gulf of California. 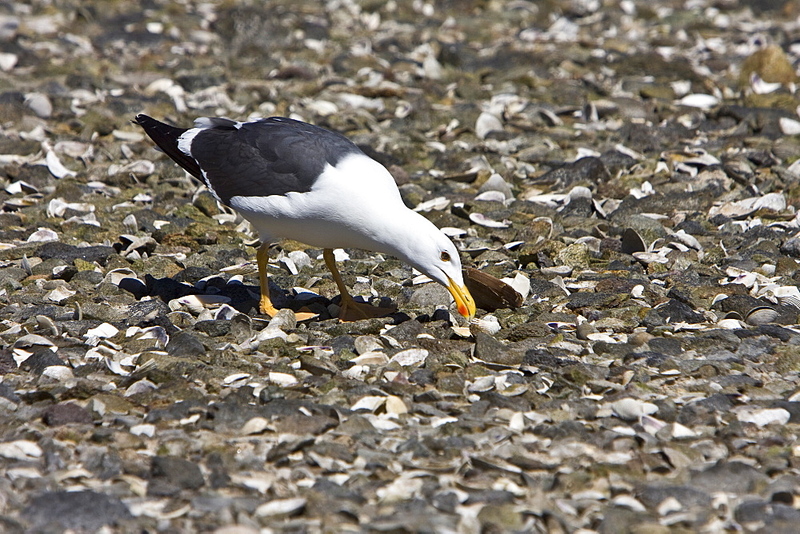 Here the gull has a clam found on exposed tidal flats of an extremely low tide. 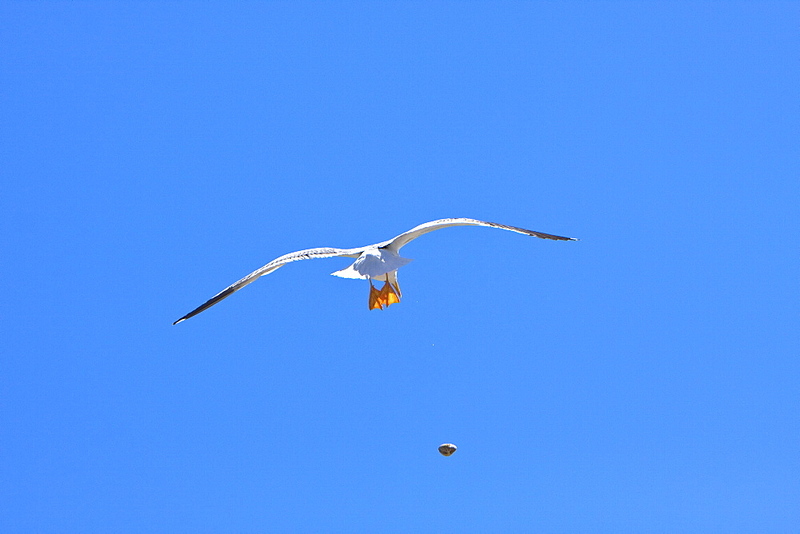 The gull will drop the clam onto rocks from above, breaking the shell and exposing the meat inside for consumption. 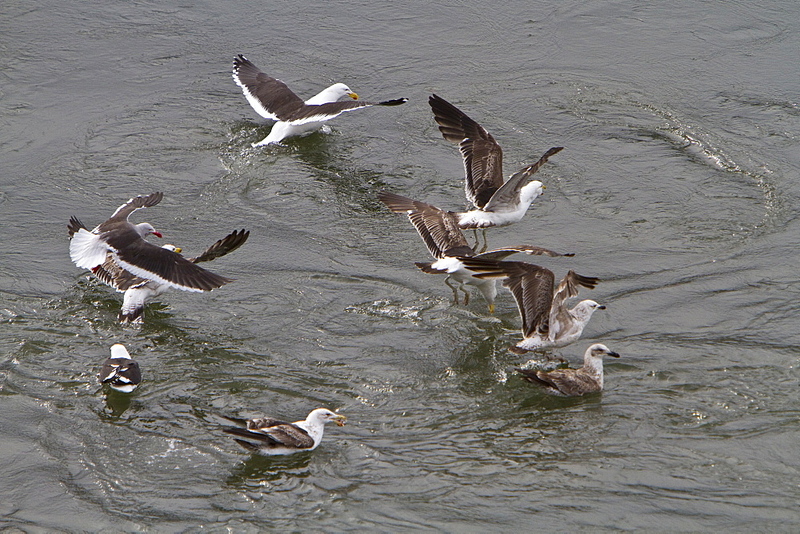 979-1947 - Adult Yellow-footed Gull (Larus livens) with creolefish in the Gulf of California (Sea of Cortez), Mexico. This species is enedemic to the Gulf of California. 979-1951 - Heermann&#39;s Gull (Larus heermanni) on their breeding grounds on Isla Rasa in the middle Gulf of California (Sea of Cortez), Mexico. 95% of the world&#39;s population of this species nests on this tiny island. 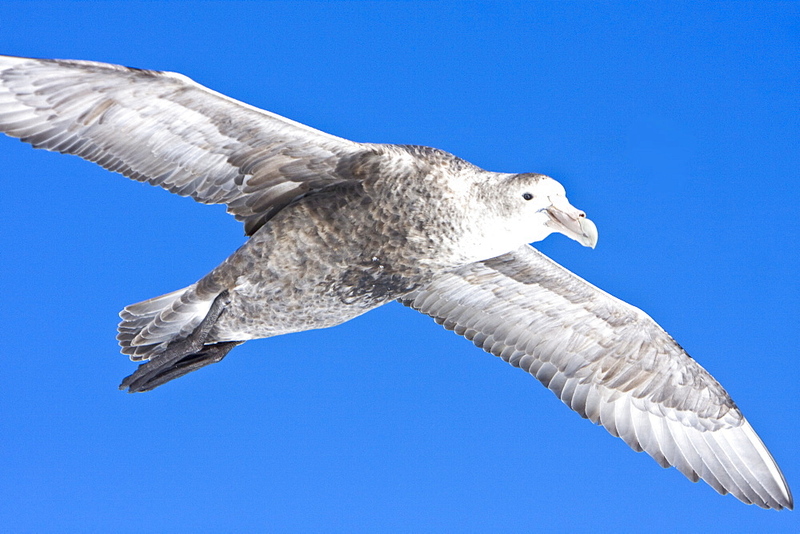 979-7479 - Juvenile kelp gull (Larus dominicanus) in flight near Ushuaia, Tierra del Fuego, Argentina, Southern Ocean. 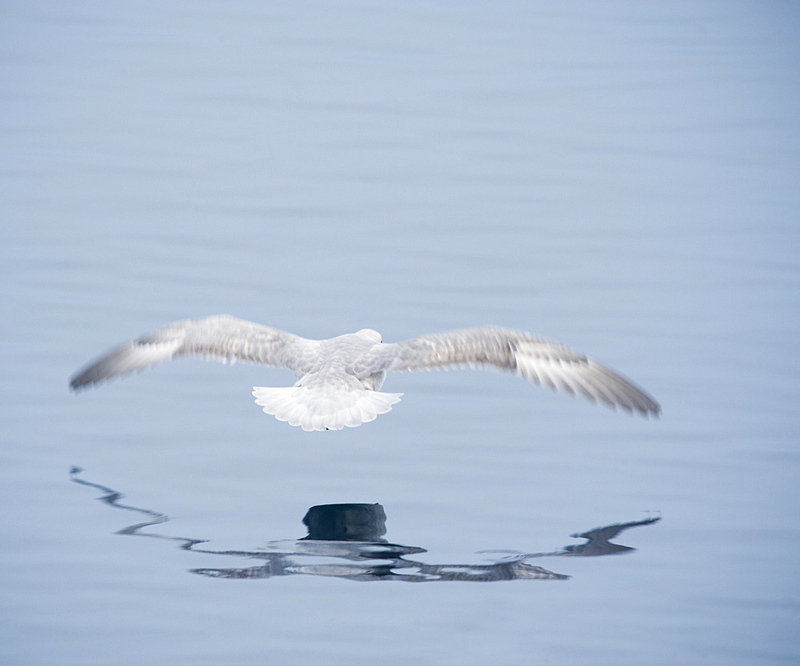 MORE INFO This is the only gull regularly found in the Antarctic Peninsula to a latitude of 68 degrees south. 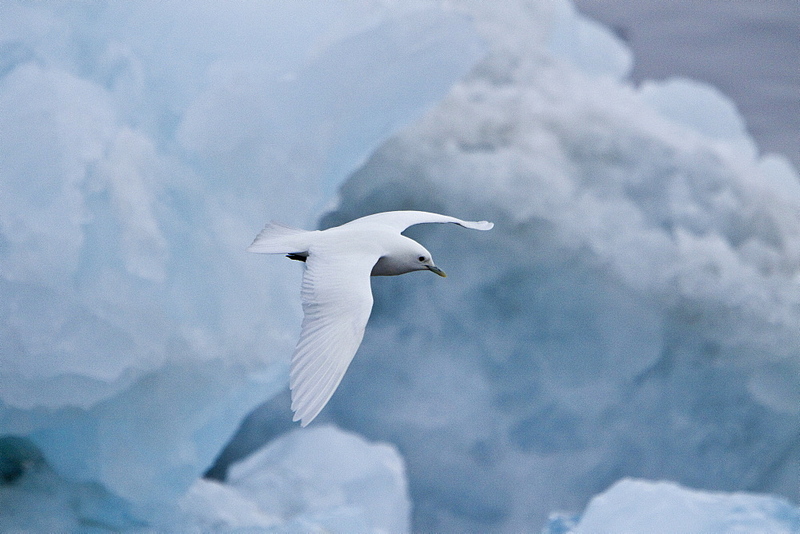 979-5253 - An adult ivory gull (Pagophila eburnea) near Monaco Glacier on the north side of Spitsbergen in the Svalbard Archipelago in the Barents Sea, Norway. 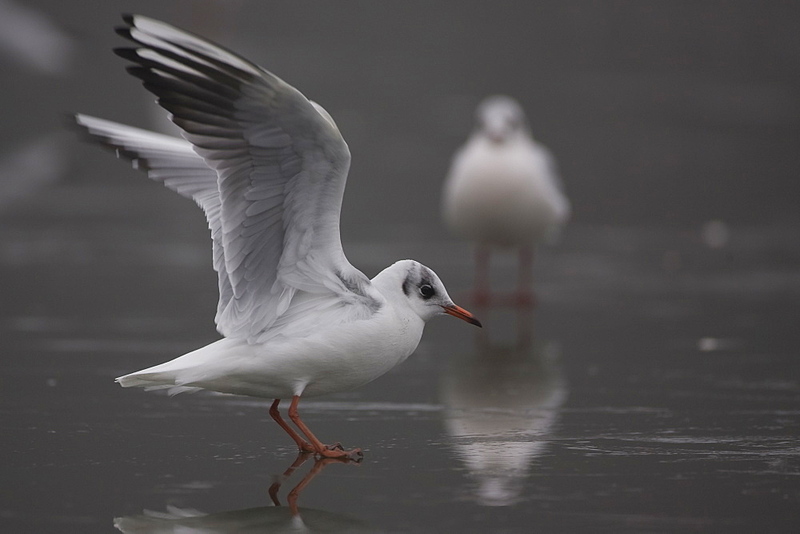 this is a small gull, the only species in its genus. It breeds in the high arctic and has a circumpolar distribution through Greenland, northernmost North America, and Eurasia. 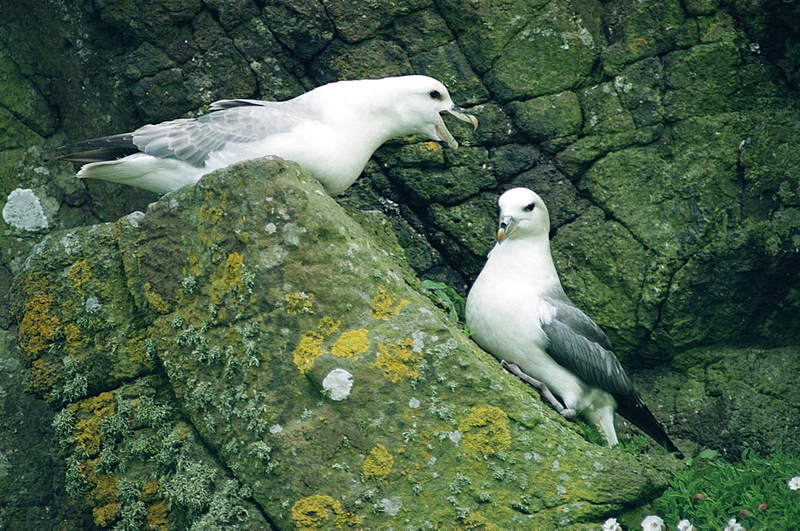 Ivory Gulls breeds on Arctic coasts and cliffs, laying one to three olive eggs in a ground nest lined with moss, lichens, or seaweed. It often follows polar bears and other predators to feed on the remains of their kills. 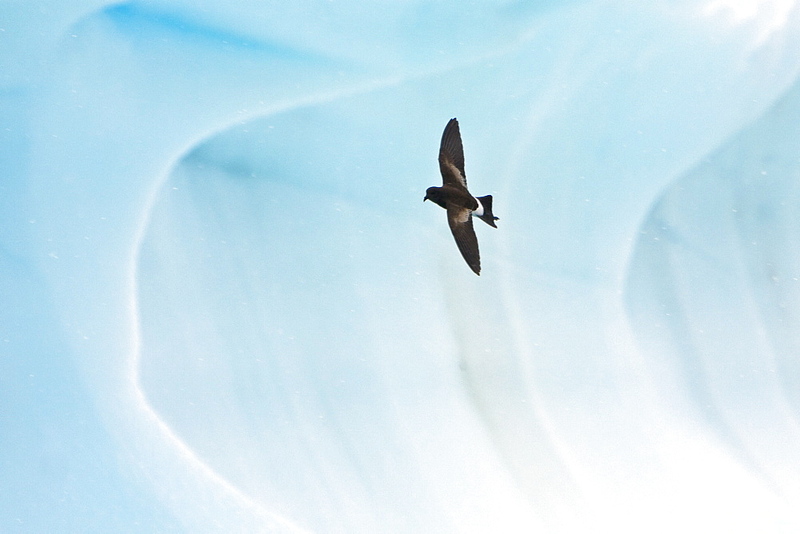 979-1765 - Adult cape petrel (Daption capense) on the wing in and around the Antarctic peninsula. 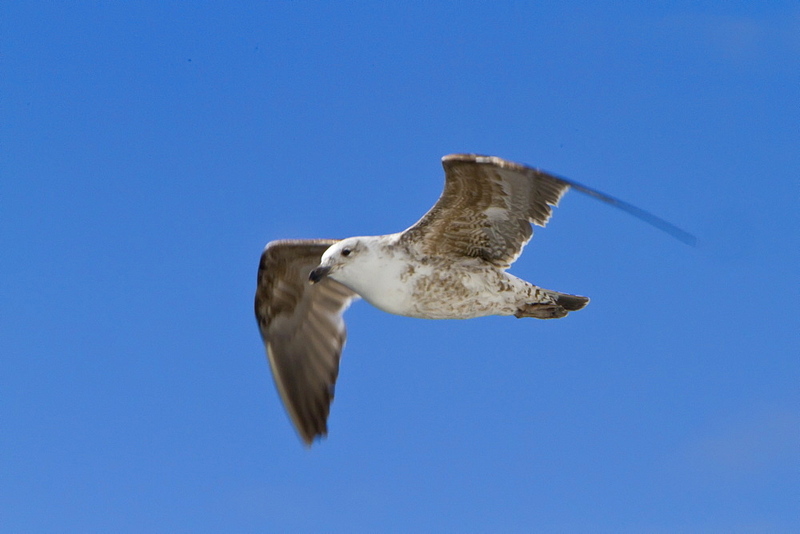 This petrel is sometimes also called the pintado petrel, the word pintado meaning &#34;painted&#34; in Spanish. 979-5921 - Yellow-footed Gull (Larus livens) eating clams at low tide in Puerto Don Juan in the Gulf of California (Sea of Cortez), Mexico. 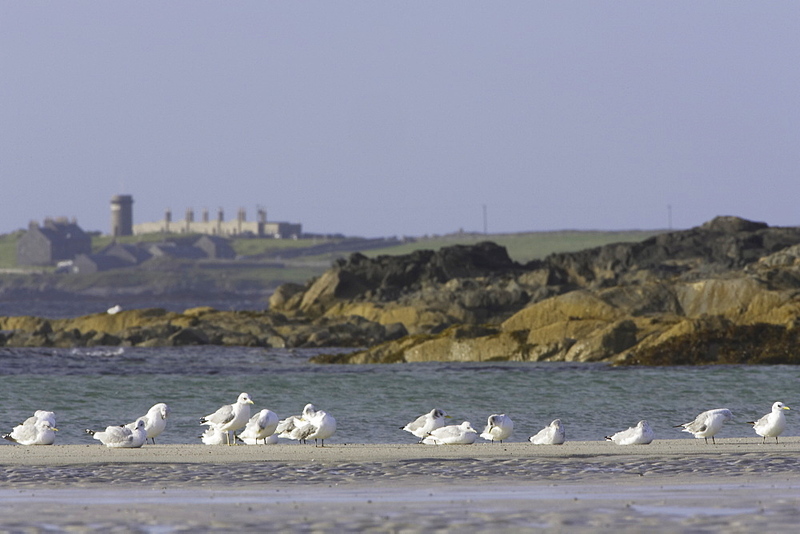 These gulls have developed the ingenious ability to dig up clams at low tide on the beach, then carry them over rocks where they drop the clam from the air, breaking them open on the rocks below. This species is enedemic to only the Gulf of California. 979-3115 - Sunrise over cardon cactus with gulls from Isla San Esteban in the midriff region of Gulf of California (Sea of Cortez), Baja California Norte, Mexico. 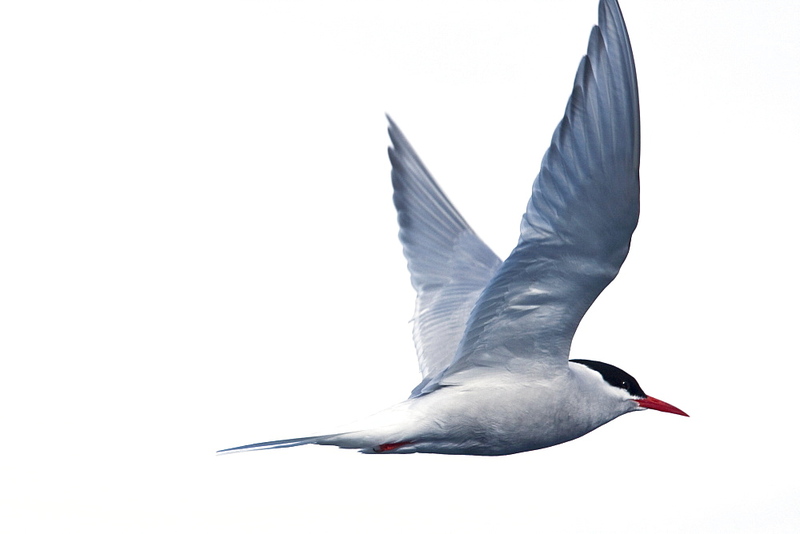 979-1965 - Adult Antarctic Tern (Sterna vittata) nesting and mating on Enterprise Island near the wreck of the Gouvernoren, a Norwegian whaler which caught fire and sank in Wilhelmina Bay in 1916, Antarctica. 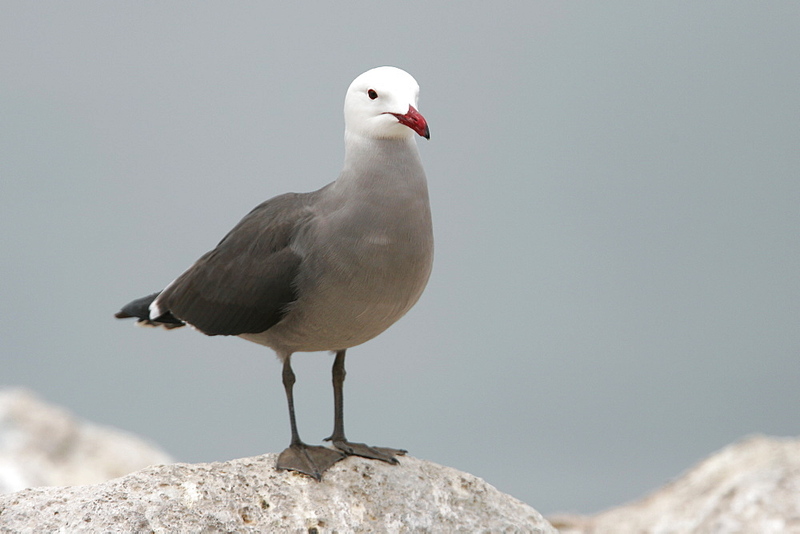 979-1952 - Heermann&#39;s Gull (Larus heermanni) on their breeding grounds on Isla Rasa in the middle Gulf of California (Sea of Cortez), Mexico. 95% of the world&#39;s population of this species nests on this tiny island. 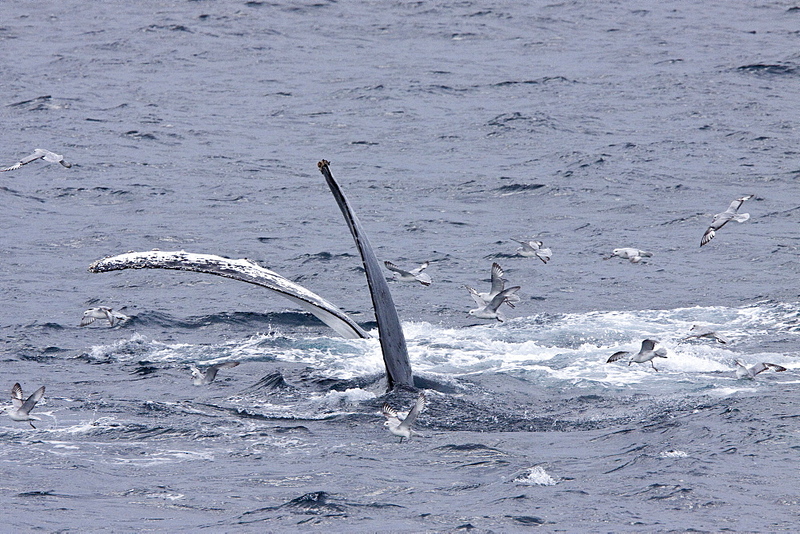 979-7549 - Adult humpback whale (Megaptera novaeangliae) surface lunge-feeding on krill near the Antarctic Peninsula, Antarctica, Southern Ocean. MORE INFO Humpbacks feed only in summer, in polar waters, and migrate to tropical or sub-tropical waters to breed and give birth in the winter. The species&#39; diet consists mostly of krill and small fish. 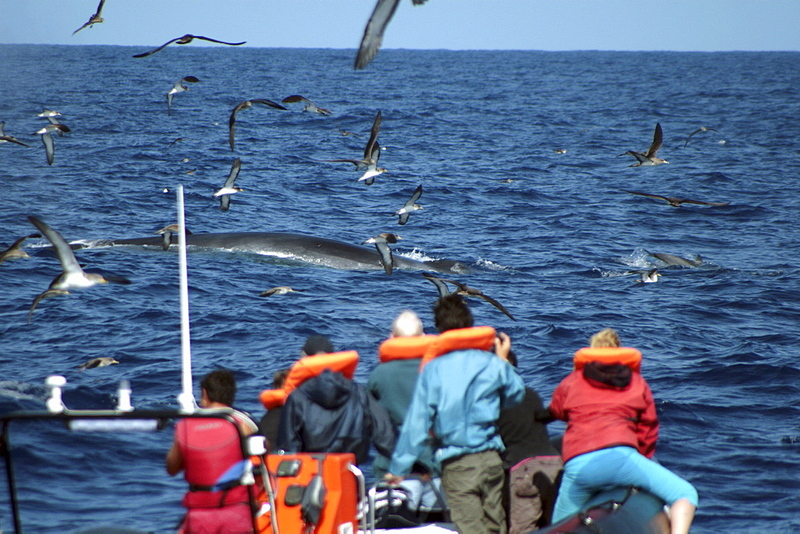 Humpback whale populations in Antarctica are severely depleated from over fishing during the 20th century modern era whaling efforts. 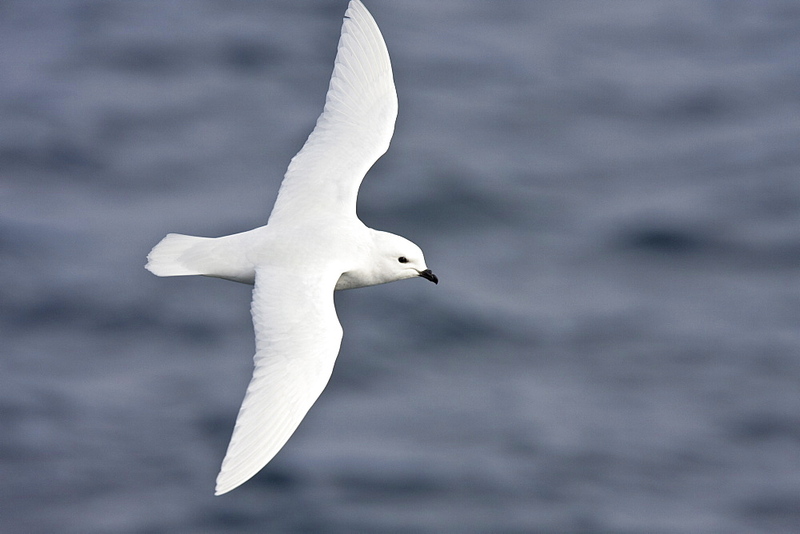 979-1743 - Adult snow petrel (Pagodroma nivea) on the wing in Crystal Sound below the Antarctic Circle, close to the Antarctic peninsula. 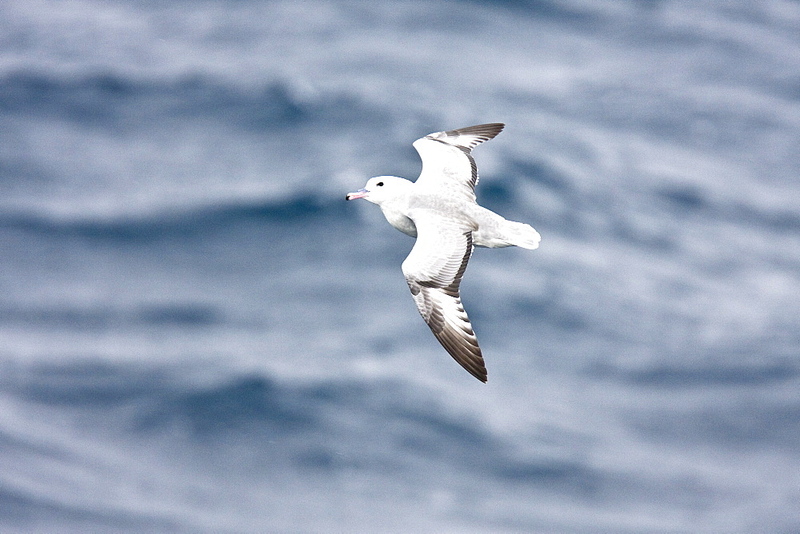 This all-white petrel has two forms; the lesser snow petrel (Pagodroma nivea nivea) and the greater snow petrel (Pagodroma nivea confusa) but the two are almost impossible to distinguish at sea. 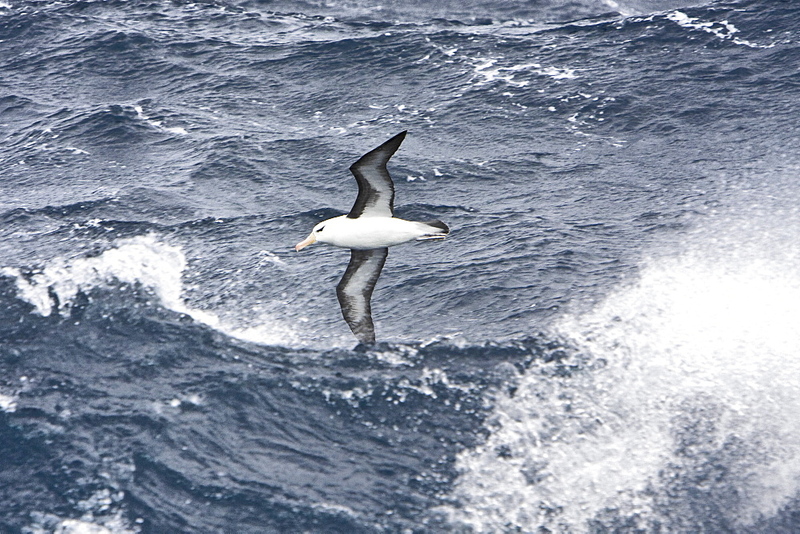 979-1799 - Adult grey-headed albatross (Thalassarche chrysostoma) in flight in the Drake passage between South America and the Antarctic peninsula. 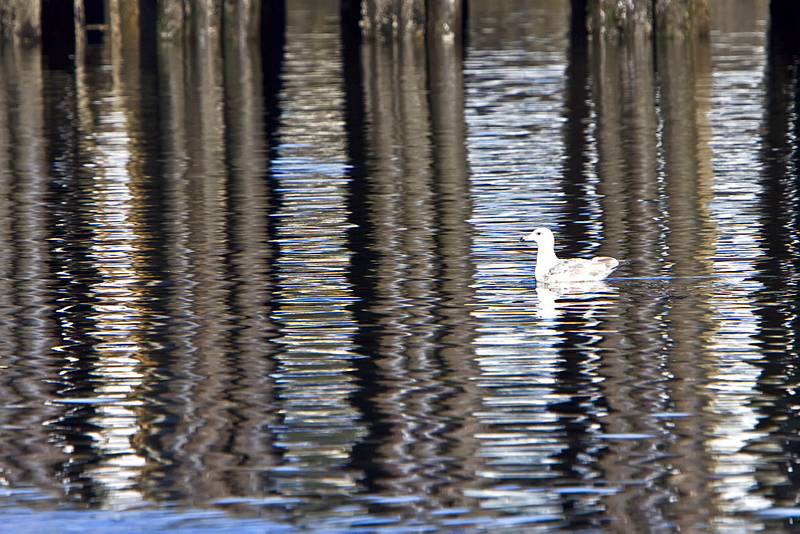 979-7003 - Adult herring gull (Larus argentatus) in Southeast Alaska, USA. 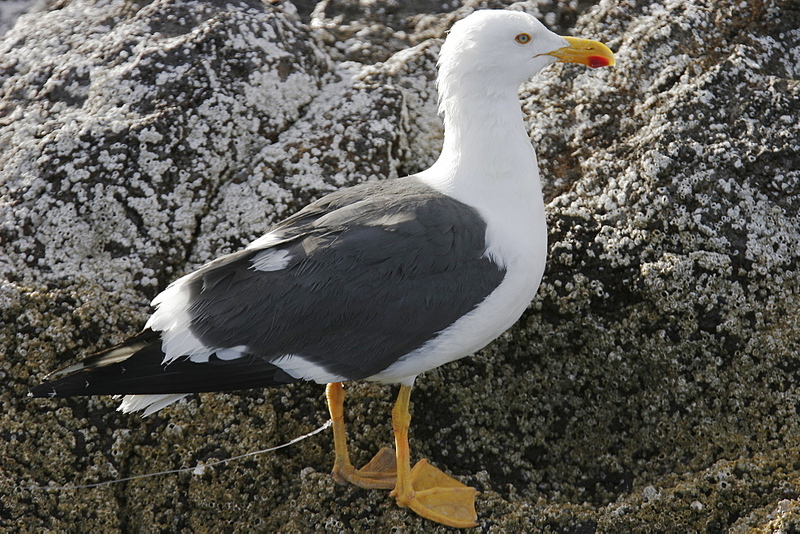 979-2106 - Yellow-footed Gull (Larus livens) with a fishing hook and line embedded in its leg in the Gulf of California (Sea of Cortez), Mexico. This species is enedemic to the Gulf of California. 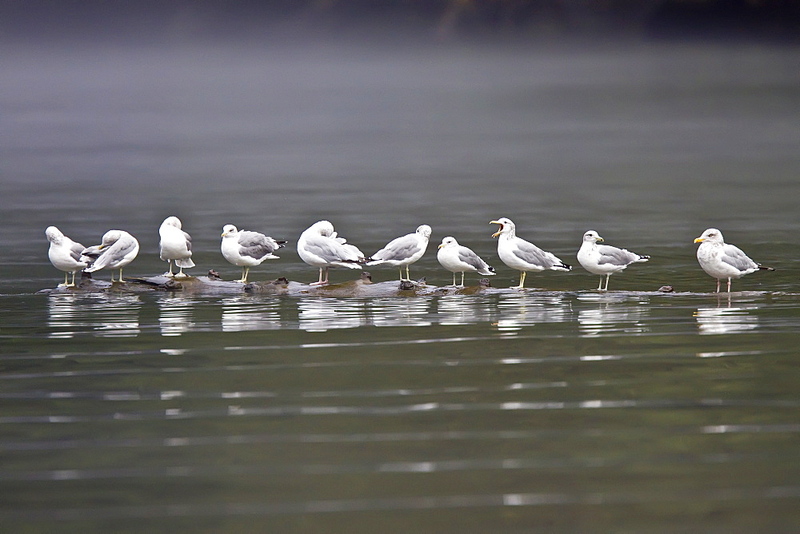 979-6995 - Gulls on a log in Southeast Alaska. 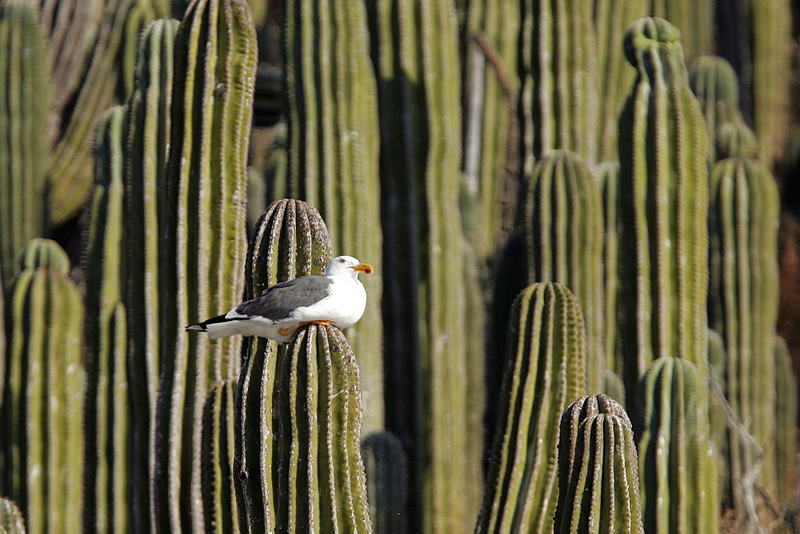 979-1936 - Yellow-footed Gull (Larus livens) on cardon cactus on Isla San Esteban in the upper Gulf of California (Sea of Cortez) , Mexico. 979-3390 - Heermann&#39;s gull (Larus heermanni) on their breeding grounds on tiny and remote Isla Rasa in the middle Gulf of California (Sea of Cortez), Mexico. 95% of the world&#39;s population of this species nests on this tiny island, 2007 population estimates are 260,000 nesting pairs here. 979-5916 - Adult Heermann&#39;s gull (Larus heermanni) on their breeding grounds on Isla Rasa in the middle Gulf of California (Sea of Cortez), Mexico. MORE INFO: 95% of the world&#39;s population of this species nests on this tiny island, 2008 population estimates are 260,000 nesting pairs here. 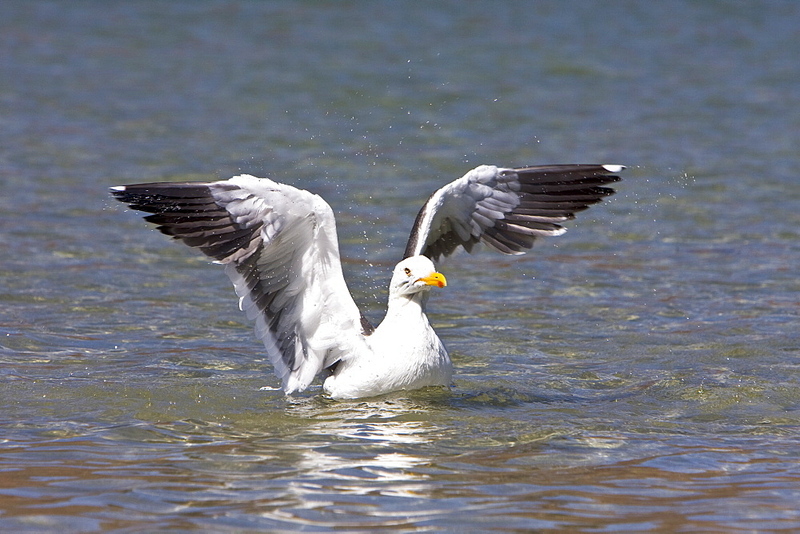 979-3393 - Yellow-footed Gull (Larus livens) in the Gulf of California (Sea of Cortez), Mexico. This species is enedemic to only the Gulf of California. 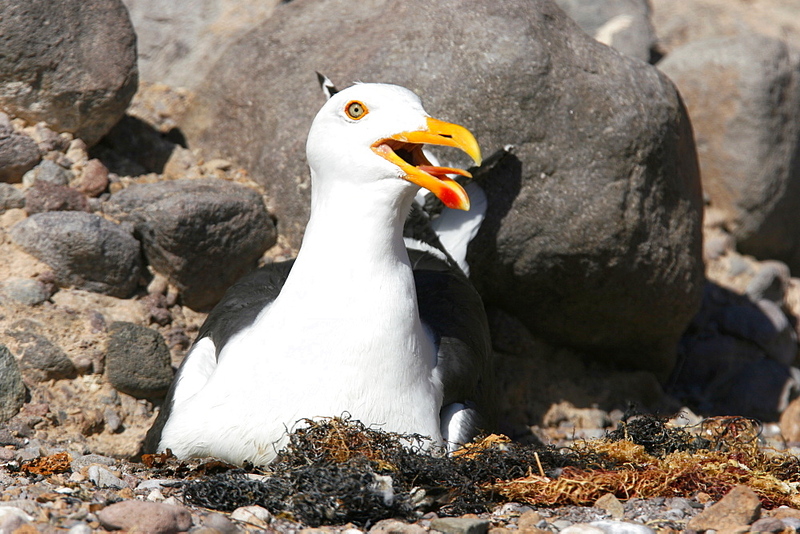 979-5935 - Yellow-footed Gull (Larus livens) eating clams at low tide in Puerto Don Juan in the Gulf of California (Sea of Cortez), Mexico. 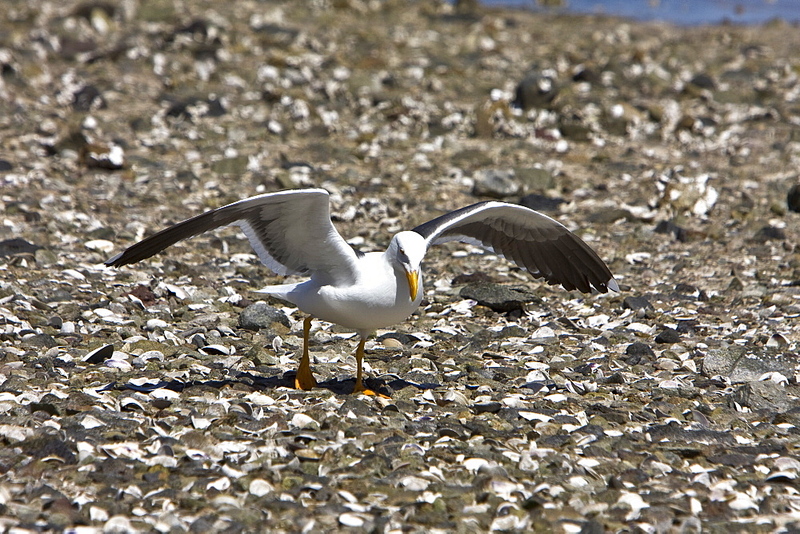 MORE INFO: These gulls have developed the ingenious ability to dig up clams at low tide on the beach, then carry them over rocks where they drop the clam from the air, breaking them open on the rocks below. This species is enedemic to only the Gulf of California. 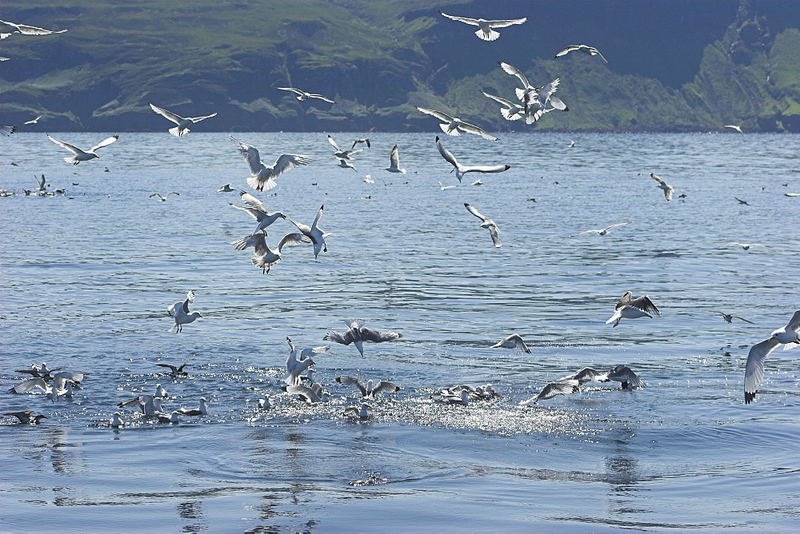 979-8950 - Gull feeding frenzy on bait ball off Fugloy Island in the Faroe Islands, North Atlantic Ocean. 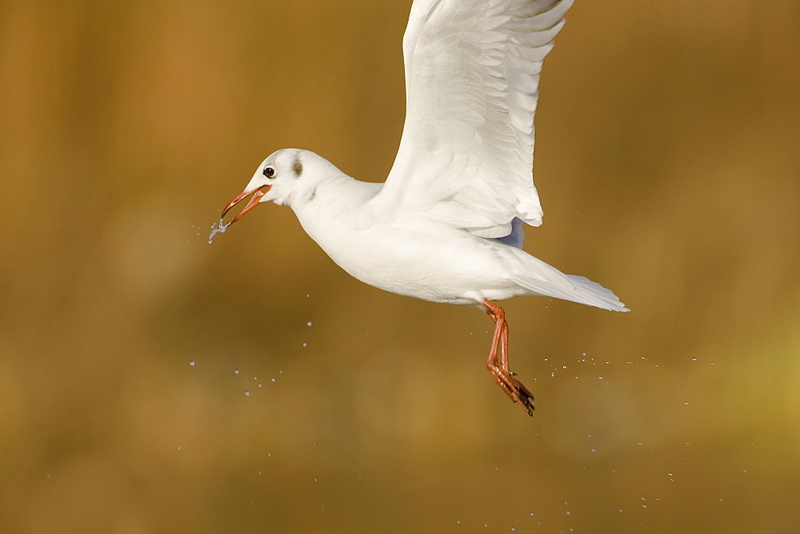 MORE INFO Hundreds of gulls plunge-diving on spawning sand eels at the oceans surface. 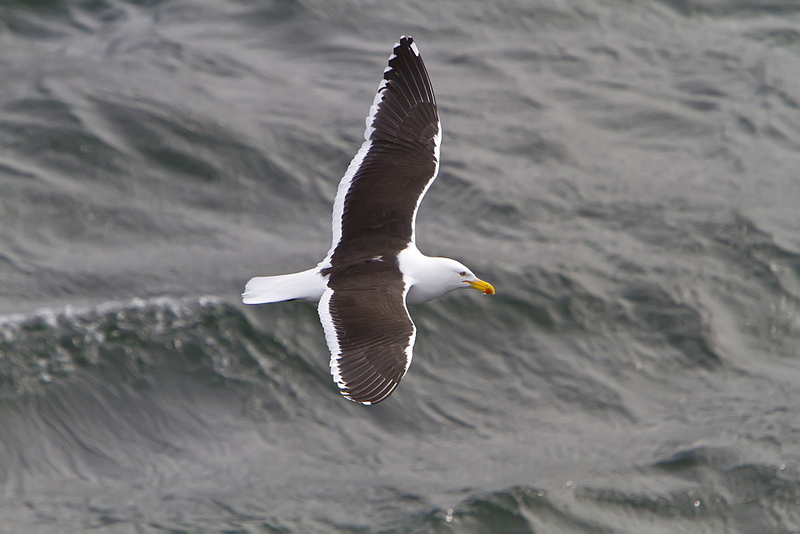 In attendance are lesser black-backed gulls (Larus fuscus), black-legged kittiwakes (Rissa tridactyla), and northern fulmars (Fulmarus glacialis). 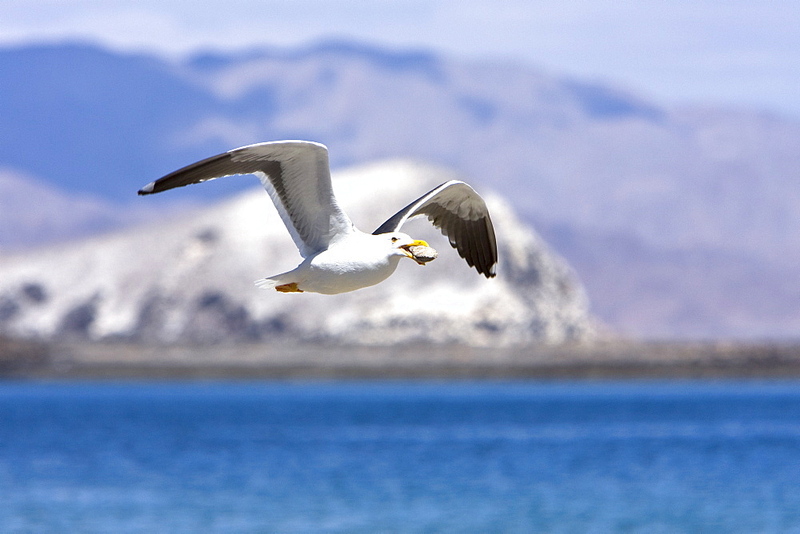 979-2887 - Yellow-footed Gull (Larus livens) in the Gulf of California (Sea of Cortez), Mexico. This species is enedemic to the Gulf of California. 979-3118 - Adult Swallow-tailed gull (Creagrus furcatus) on Espanola Island in the Galapagos Island Archipeligo, Ecuador. Pacific Ocean. 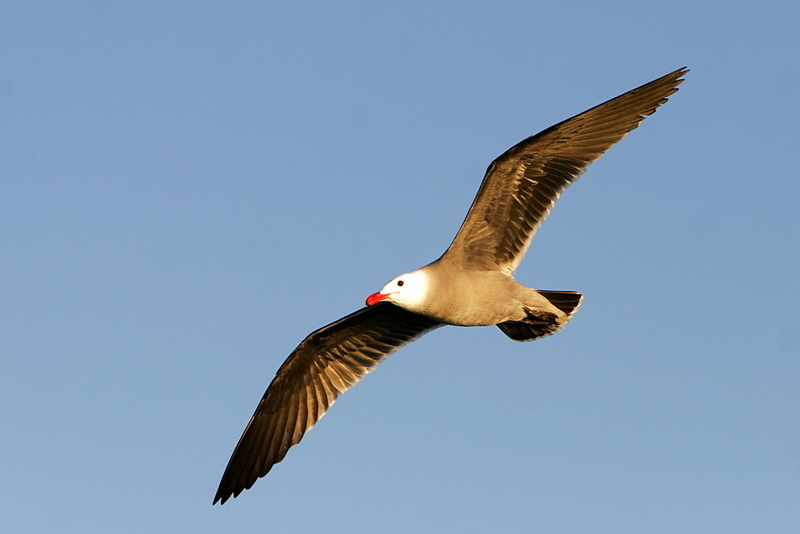 This species of gull is endemic to the Galapagos Islands. It is also a nocturnal feeding gull (note the red ring around the eye). 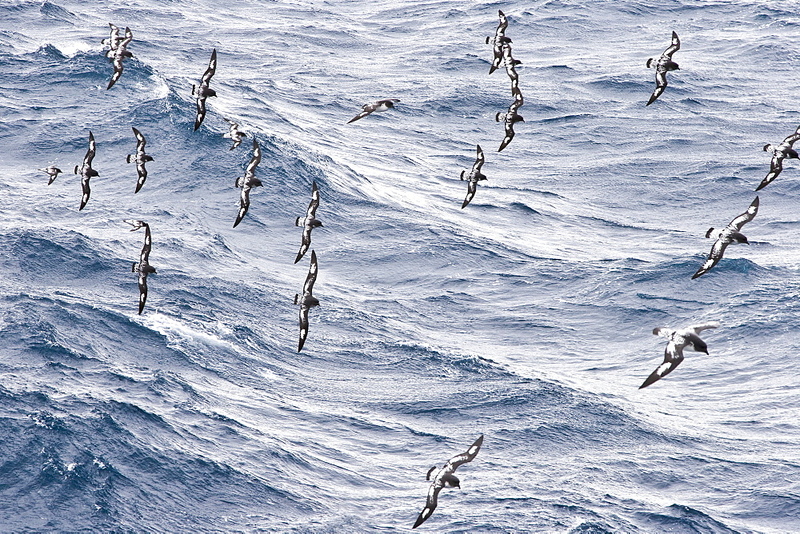 979-3123 - Adult Swallow-tailed gull (Creagrus furcatus) in flight over basking marine iguanas on Espanola Island in the Galapagos Island Archipeligo, Ecuador. Pacific Ocean. 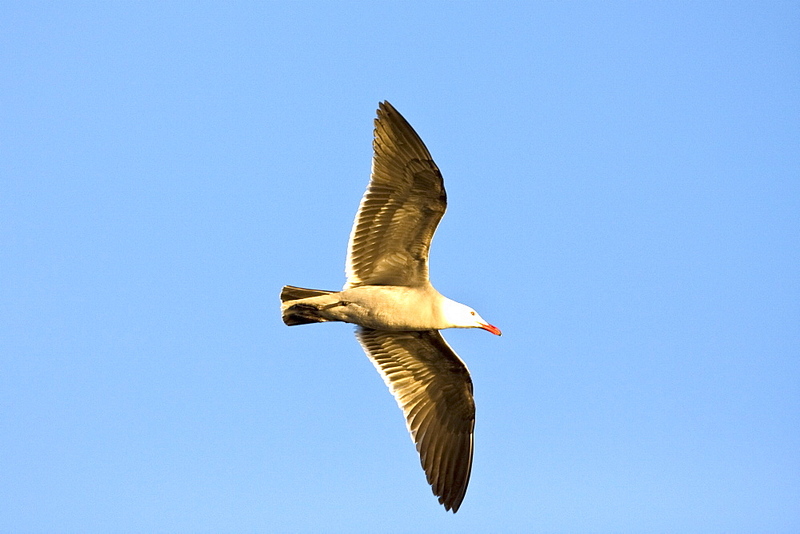 This species of gull is endemic to the Galapagos Islands. It is also a nocturnal feeding gull (note the red ring around the eye). 979-3385 - Heermann&#39;s gull (Larus heermanni) on their breeding grounds on tiny and remote Isla Rasa in the middle Gulf of California (Sea of Cortez), Mexico. 95% of the world&#39;s population of this species nests on this tiny island, 2007 population estimates are 260,000 nesting pairs here. 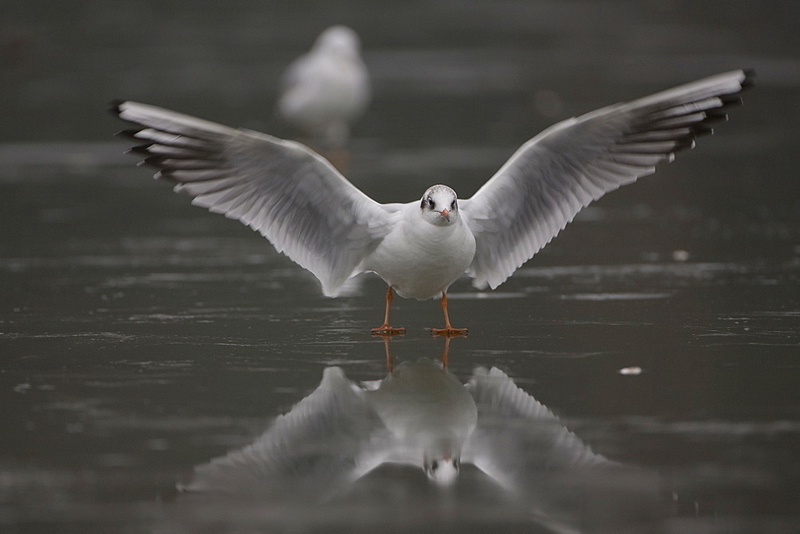 979-1944 - Adult Gull (Larus spp.) resting on calved ice from the Sawyer Glacier in Tracy Arm, Southeast Alaska, USA. 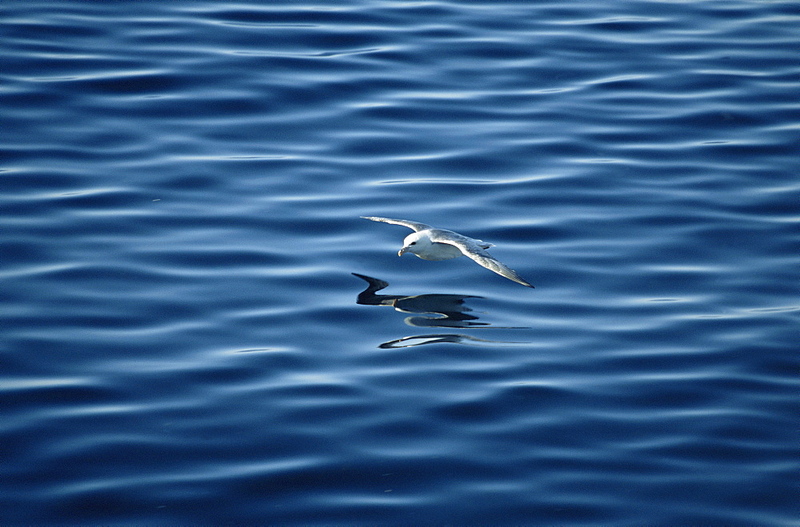 979-1932 - Adult plumage Herrmann&#39;s Gull (Larus heermanni) in the lower Gulf of California (Sea of Cortez), Mexico. 979-5929 - Yellow-footed Gull (Larus livens) eating clams at low tide in Puerto Don Juan in the Gulf of California (Sea of Cortez), Mexico. 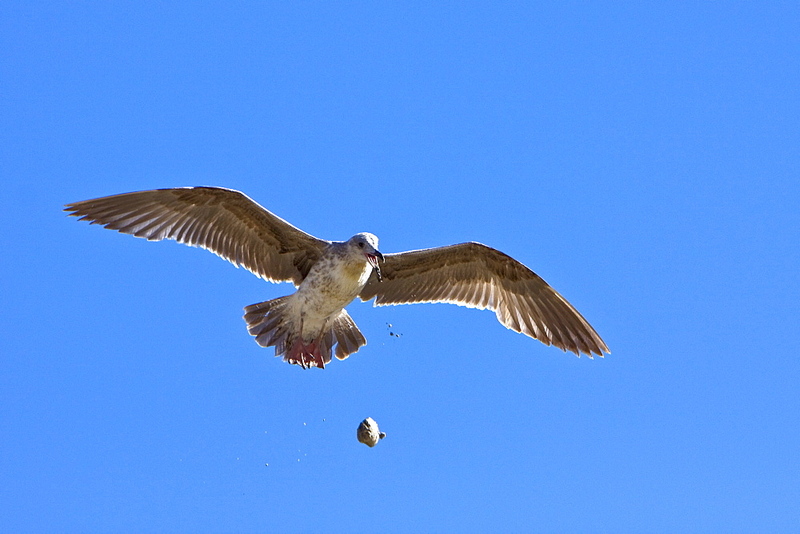 MORE INFO: These gulls have developed the ingenious ability to dig up clams at low tide on the beach, then carry them over rocks where they drop the clam from the air, breaking them open on the rocks below. This species is enedemic to only the Gulf of California. 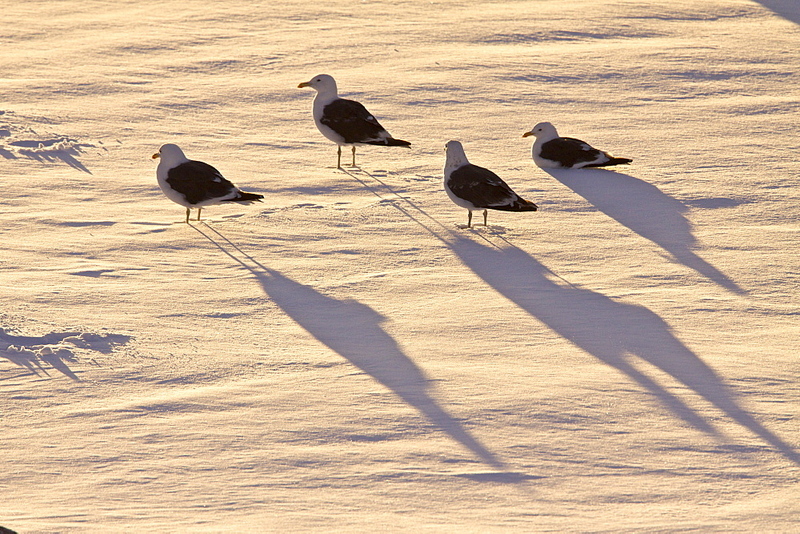 979-3945 - Adult kelp gulls (Larus dominicanus) on an ice floe at sunset near the Antarctic peninsula in the southern ocean. 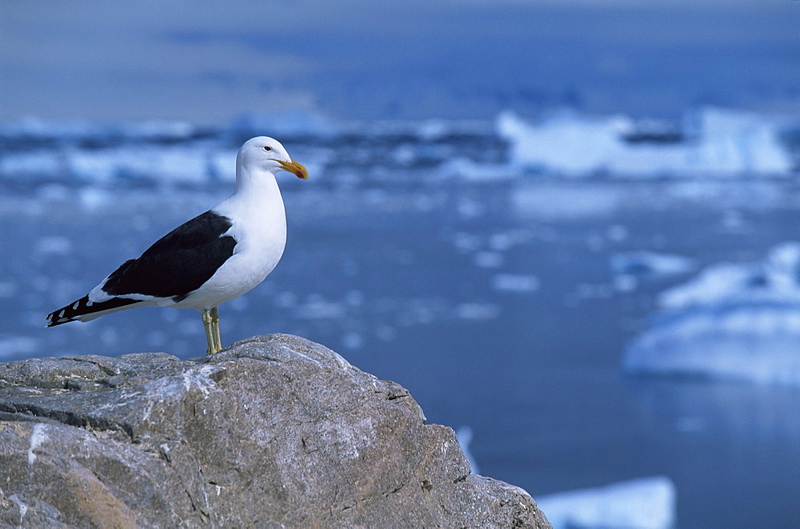 This is the only gull regularly found in the Antarctic peninsula to a latitude of 68 degrees south. The species specific part of the binomial name comes from the Dominican order of friars who wore black and white habits. Its size is 56cm with an 128cm wingspan. 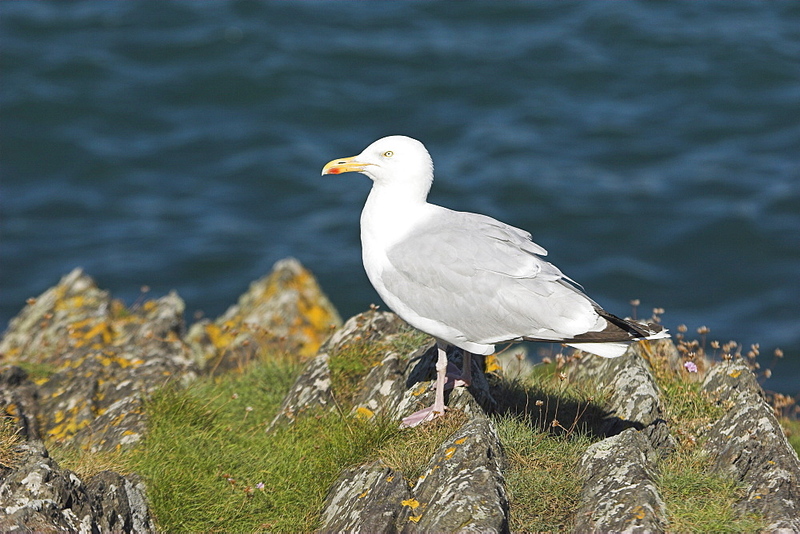 This is a mainly coastal gull. The nest is a shallow depression on the ground lined with vegetation and feathers. 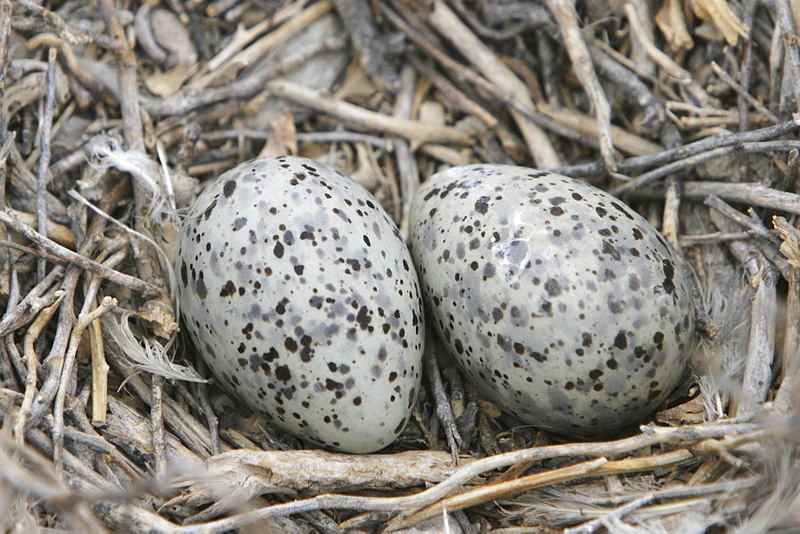 The female usually lays 2 or 3 eggs. Both parents feed the young birds. 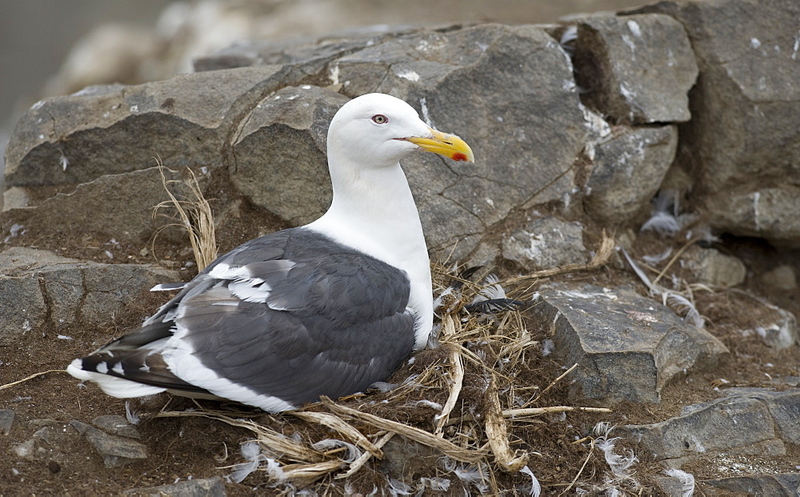 979-1950 - An adult yellow-footed gull (Larus livens) on the nesting area on Isla San Esteban in the midriff region of the Gulf of California (Sea of Cortez), Baja California, Mexico. 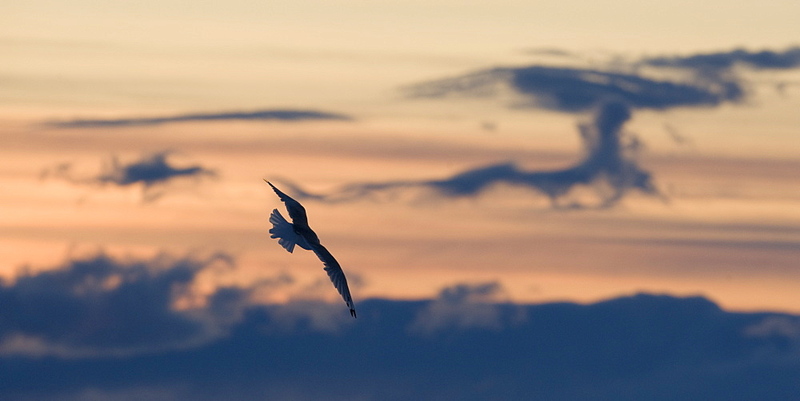 This gull species in endemic to the Gulf of California. 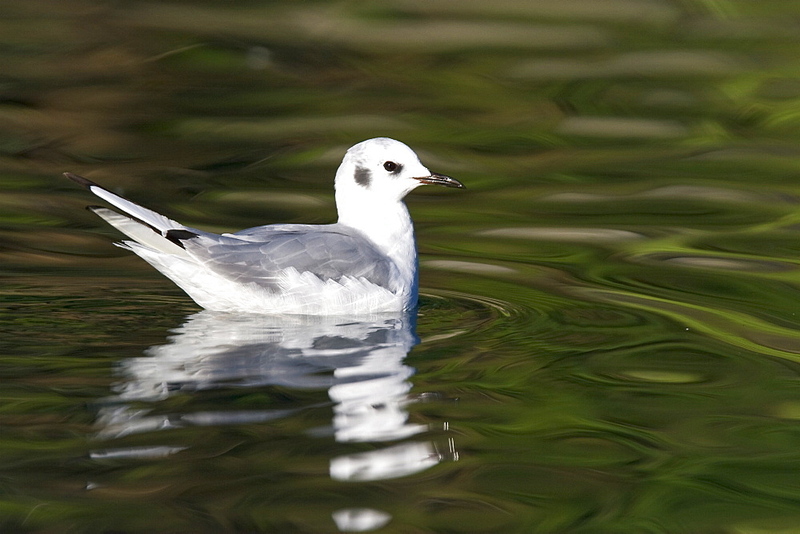 979-1957 - First summer coloration Bonaparte&#39;s gull (Larus philadelphia) in the calm waters of Takatz Bay on Baranof Island in Southeastern Alaska, USA. Pacific Ocean. 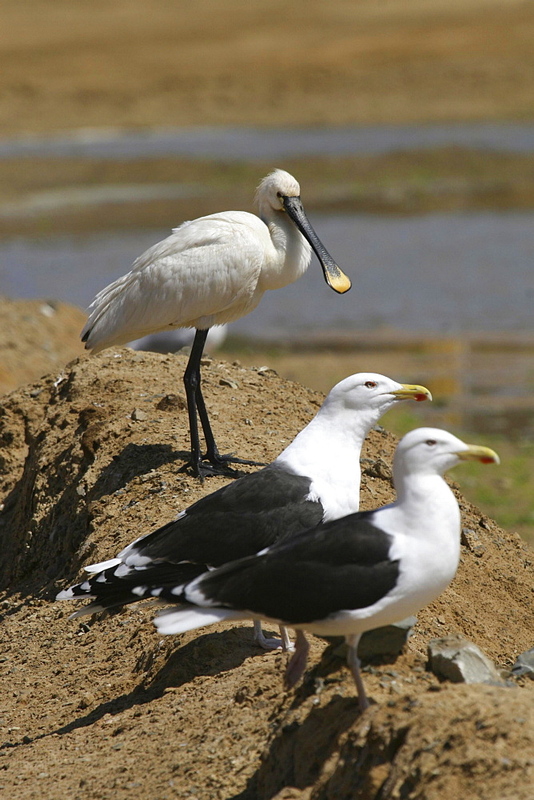 979-5932 - Yellow-footed Gull (Larus livens) eating clams at low tide in Puerto Don Juan in the Gulf of California (Sea of Cortez), Mexico. 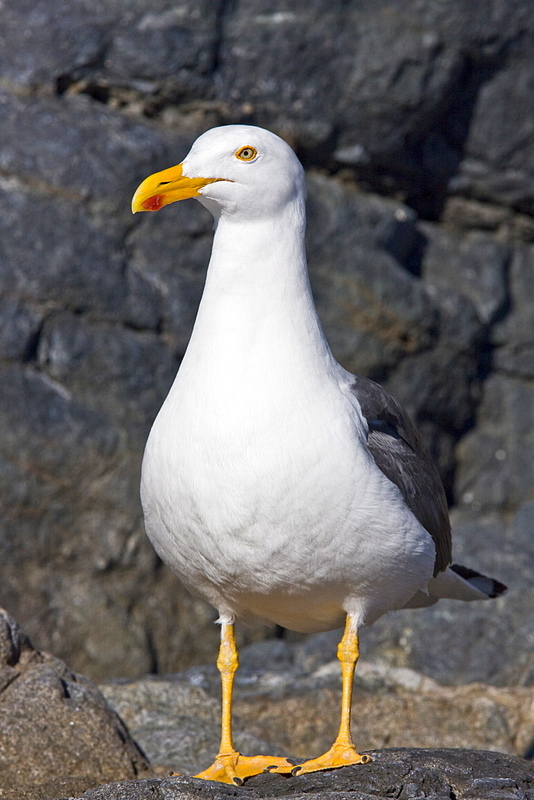 MORE INFO: These gulls have developed the ingenious ability to dig up clams at low tide on the beach, then carry them over rocks where they drop the clam from the air, breaking them open on the rocks below. This species is enedemic to only the Gulf of California. 979-5569 - Adult Swallow-tailed gull (Creagrus furcatus) on the wing on Espanola Island in the Galapagos Island Archipeligo, Ecuador. Pacific Ocean. 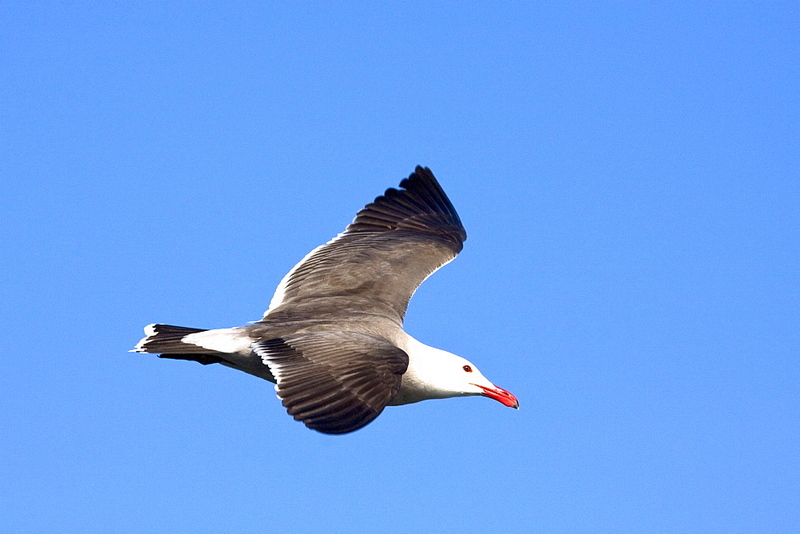 This species of gull is endemic to the Galapagos Islands. 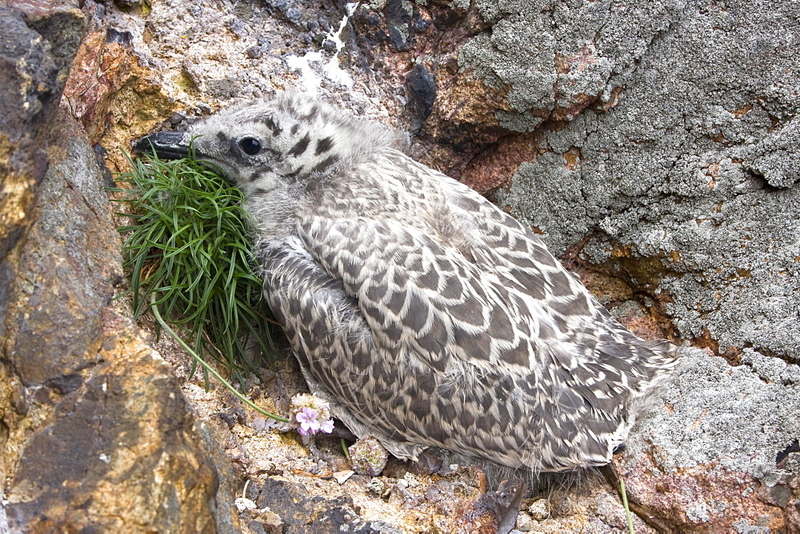 It is also a nocturnal feeding gull (note the red ring around the eye). 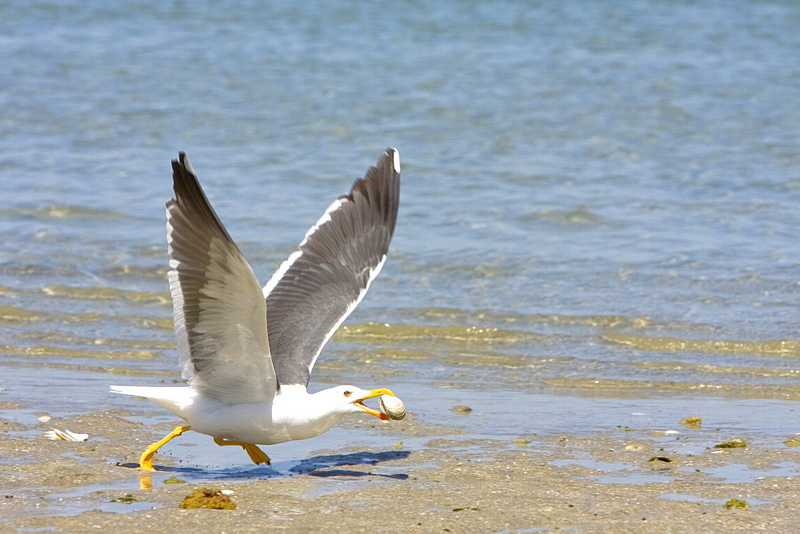 979-5937 - Yellow-footed Gull (Larus livens) eating clams at low tide in Puerto Don Juan in the Gulf of California (Sea of Cortez), Mexico. 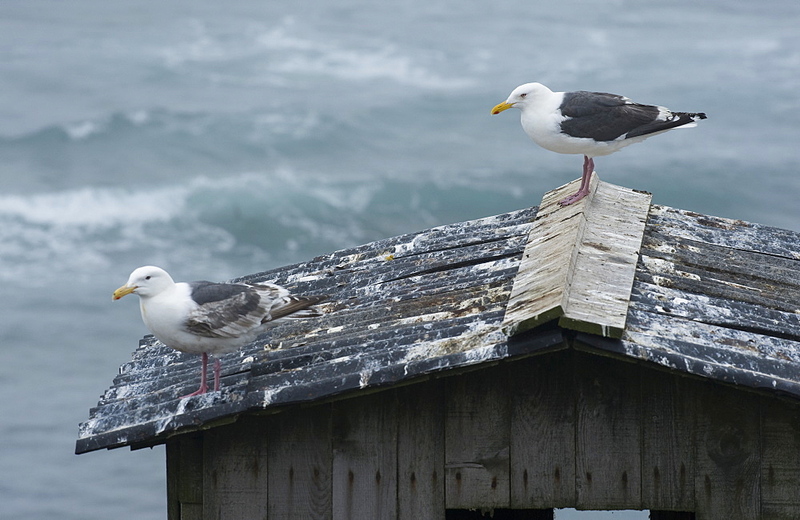 MORE INFO: These gulls have developed the ingenious ability to dig up clams at low tide on the beach, then carry them over rocks where they drop the clam from the air, breaking them open on the rocks below. This species is enedemic to only the Gulf of California. 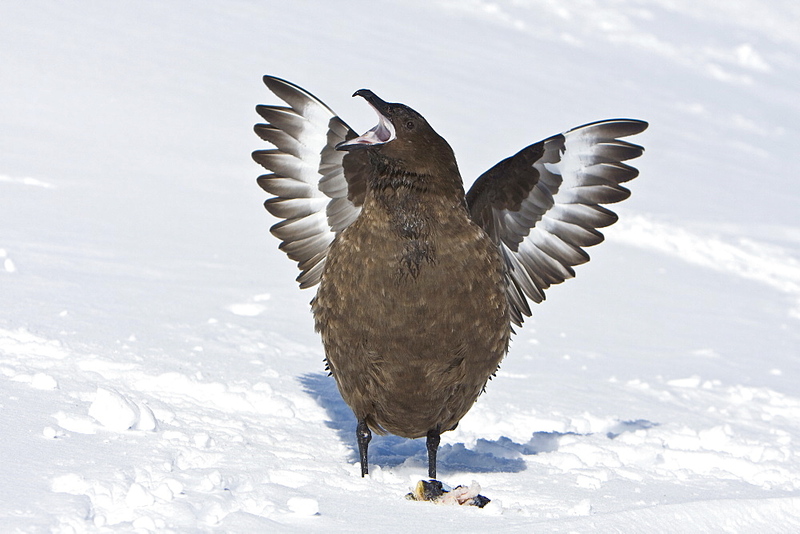 979-1901 - Sub-Antarctic Skua (Catharacta antarctica) displaying aggression after a fight for a fish head on Barrentos Island in the Aitcho Island Group, south Shetland Islands, Antarctica. 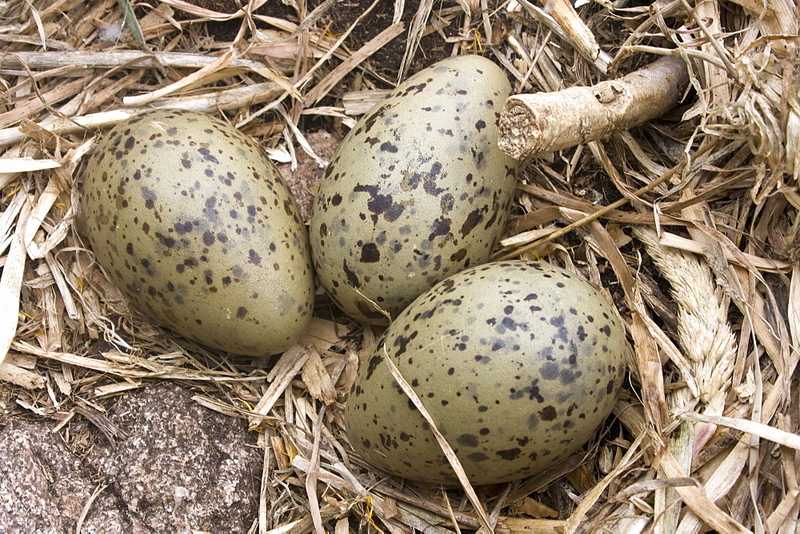 979-1938 - Heermann&#39;s Gull (Larus heermanni) eggs laid on their breeding grounds on Isla Rasa in the middle Gulf of California (Sea of Cortez), Mexico. 95% of the world&#39;s population of this species nests on this tiny island. 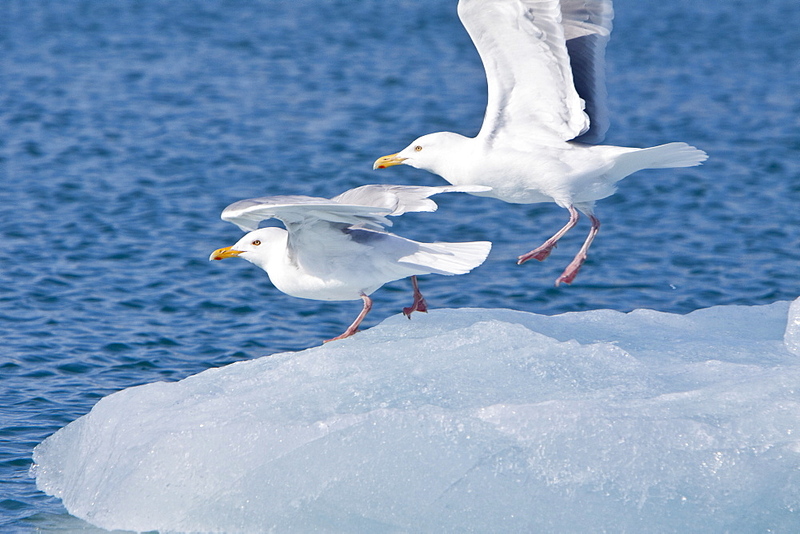 979-8079 - Glaucous gull (Larus hyperboreus) on iceberg near Monaco Glacier on the north side of Spitsbergen in the Svalbard Archipelago in the Barents Sea, Norway. 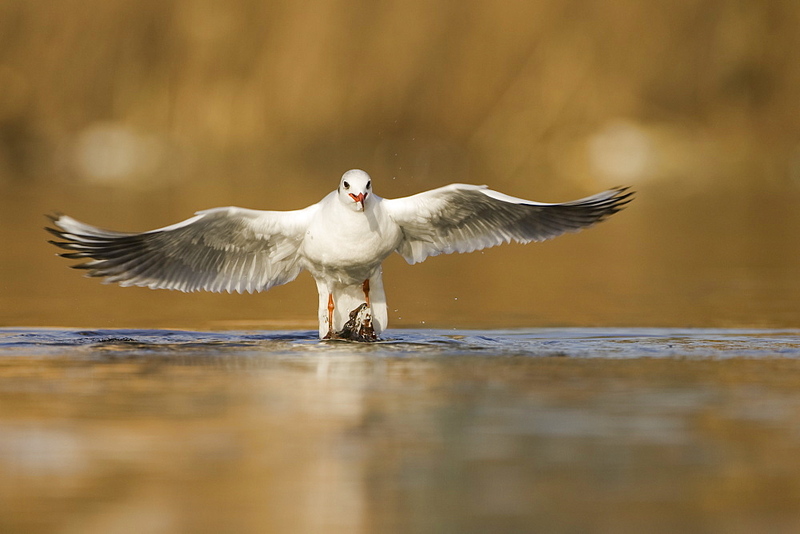 MORE INFO It is a large gull which breeds in the Arctic regions of the northern hemisphere and the Atlantic coasts of Europe. 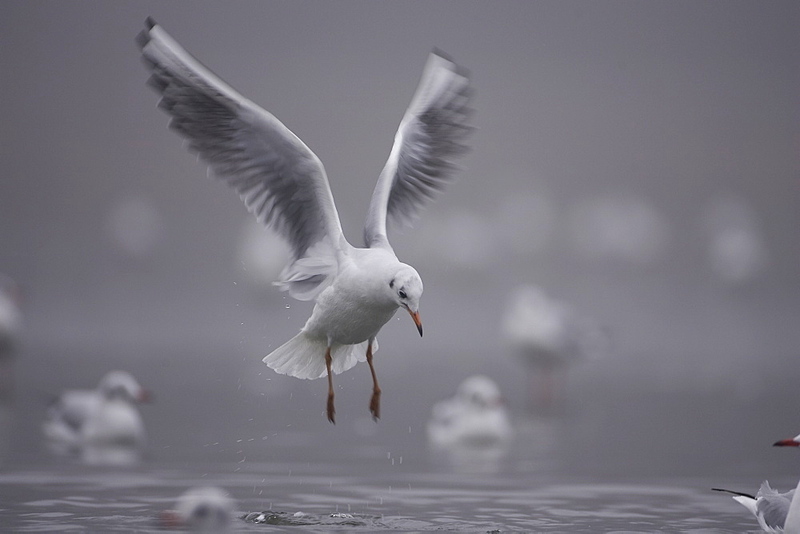 These are omnivores like most Larus gulls, and they will eat fish, insects, molluscs, starfish, offal, scraps, eggs, small birds, small mammals and carrion as well as seeds, berries and grain. 979-3128 - Feet of an adult Swallow-tailed gull (Creagrus furcatus) on Espanola Island in the Galapagos Island Archipeligo, Ecuador. Pacific Ocean. 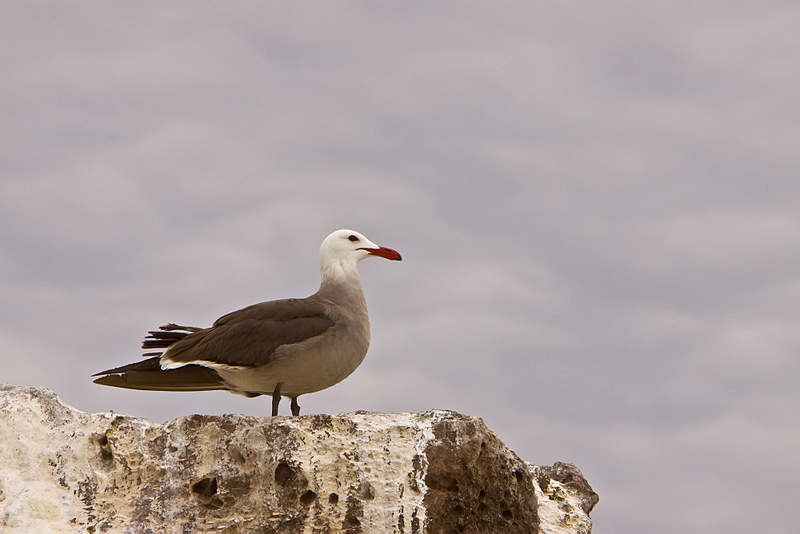 This species of gull is endemic to the Galapagos Islands. 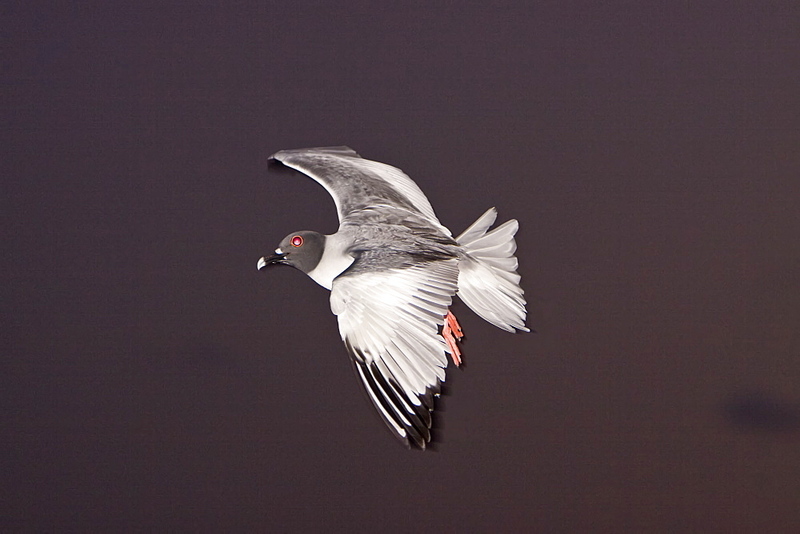 It is also a nocturnal feeding gull (note the red ring around the eye). 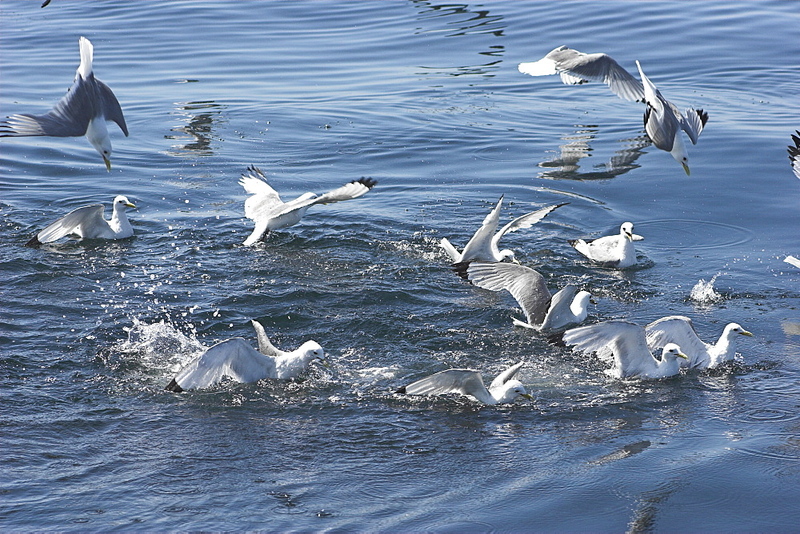 979-8953 - Gull feeding frenzy on bait ball off Fugloy Island in the Faroe Islands, North Atlantic Ocean. 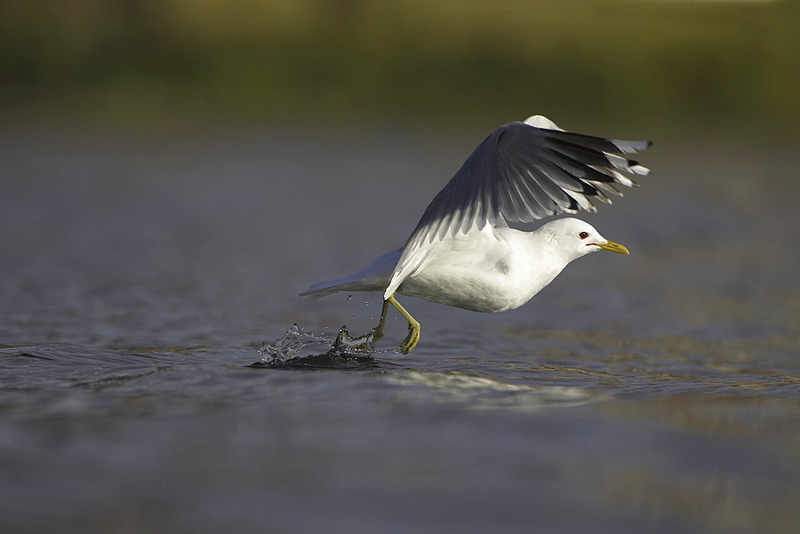 MORE INFO Hundreds of gulls plunge-diving on spawning sand eels at the oceans surface. 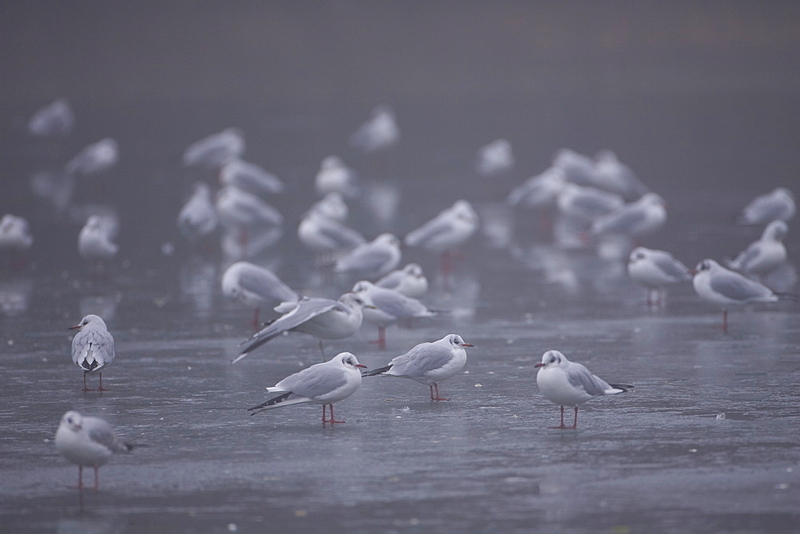 In attendance are lesser black-backed gulls (Larus fuscus), black-legged kittiwakes (Rissa tridactyla), and northern fulmars (Fulmarus glacialis). 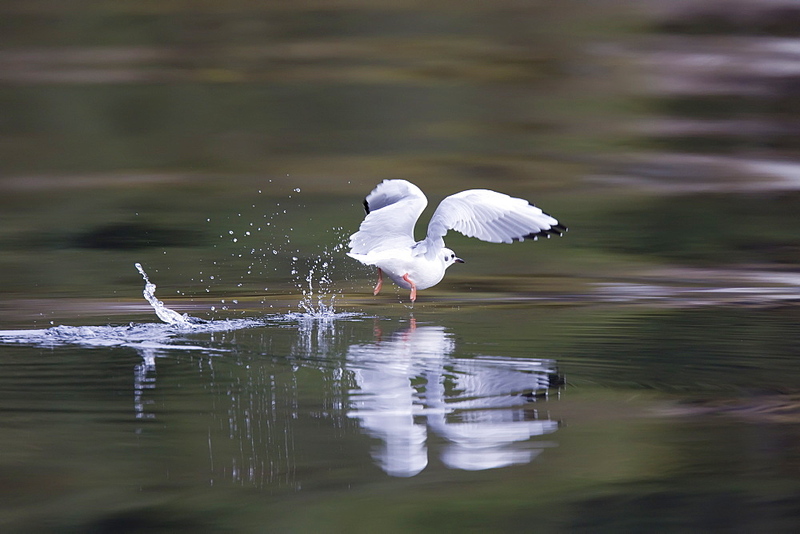 979-7481 - Adult kelp gull (Larus dominicanus) foraging for small crustaceans in Ushuaia, Tierra del Fuego, Argentina, Southern Ocean. 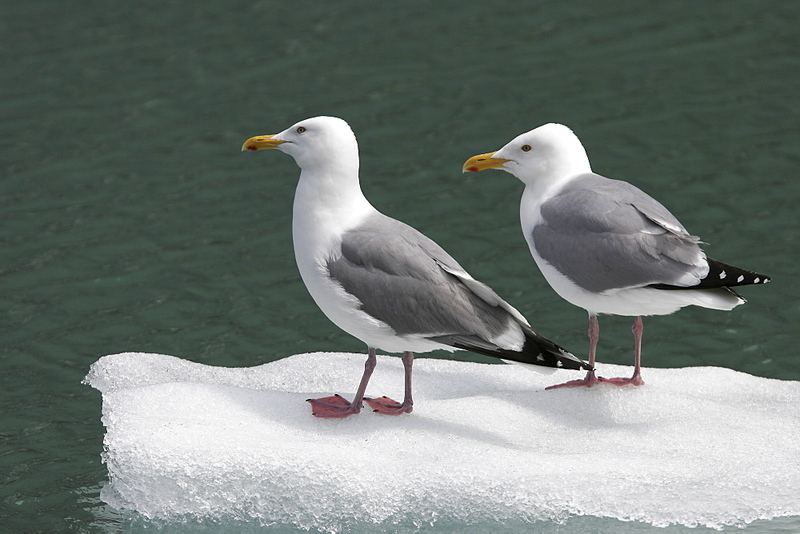 MORE INFO This is the only gull regularly found in the Antarctic Peninsula to a latitude of 68 degrees south. 979-5931 - Yellow-footed Gull (Larus livens) eating clams at low tide in Puerto Don Juan in the Gulf of California (Sea of Cortez), Mexico. 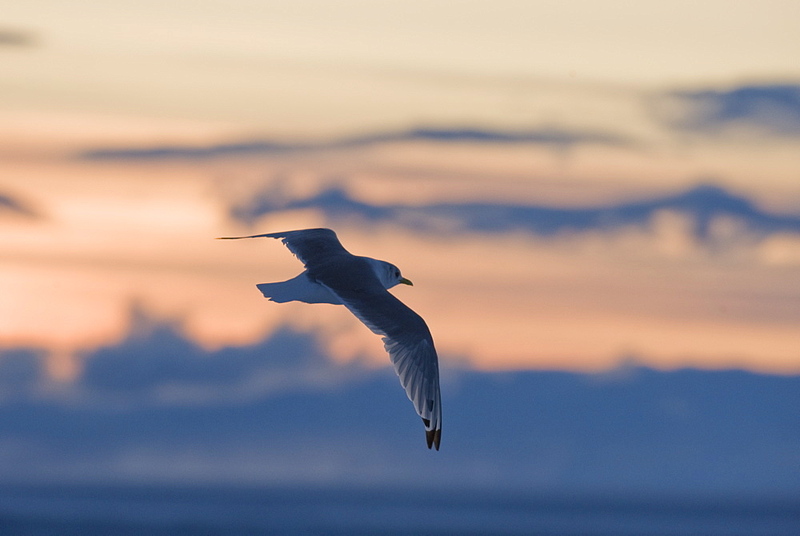 MORE INFO: These gulls have developed the ingenious ability to dig up clams at low tide on the beach, then carry them over rocks where they drop the clam from the air, breaking them open on the rocks below. This species is enedemic to only the Gulf of California. 979-3387 - Heermann&#39;s gull (Larus heermanni) on their breeding grounds on tiny and remote Isla Rasa in the middle Gulf of California (Sea of Cortez), Mexico. 95% of the world&#39;s population of this species nests on this tiny island, 2007 population estimates are 260,000 nesting pairs here. 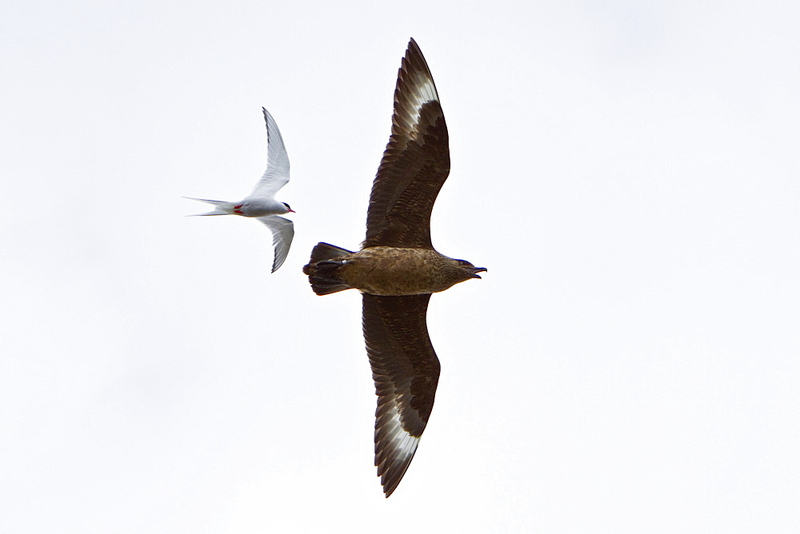 979-8853 - Adult great skua (Stercorarius skua) being dive-bombed by defensive arctic terns (Sterna paradisaea) guarding their nest sites in the Svalbard Archipelago, Norway. 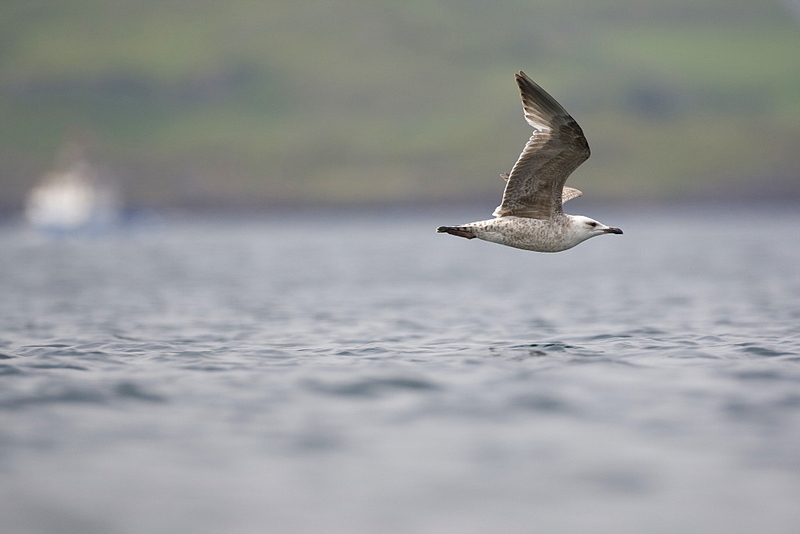 MORE INFO It is a seabird in the skua family Stercorariidae. 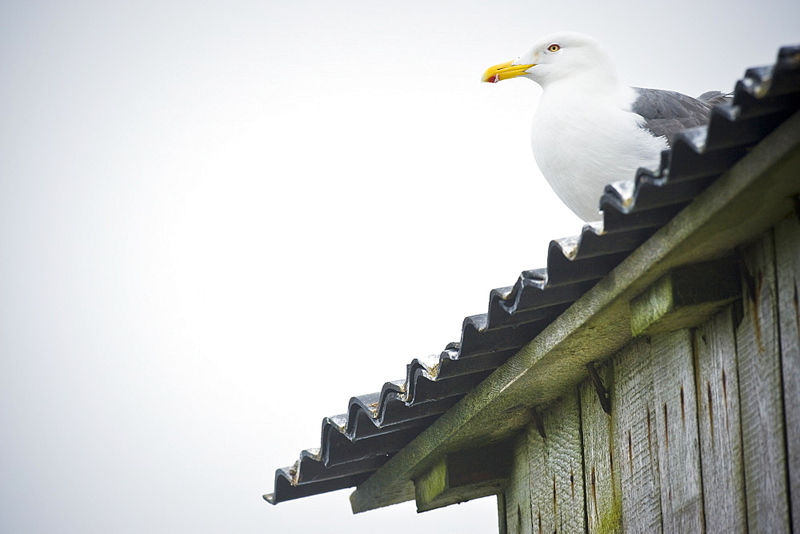 This bird will feed on rodents, small birds and insects but also robs gulls and terns of their catches, eggs, and young. 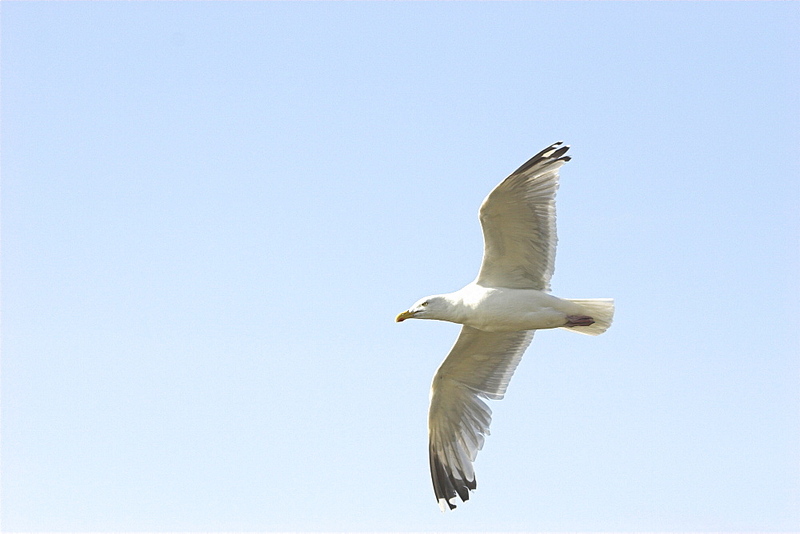 It will also directly attack and kill other seabirds, up to a medium-sized gull. 979-1766 - Adult cape petrel (Daption capense) feeding on jellyfish at Point Wild, Elephant Island, South Shetland Island Group, Antarctica. 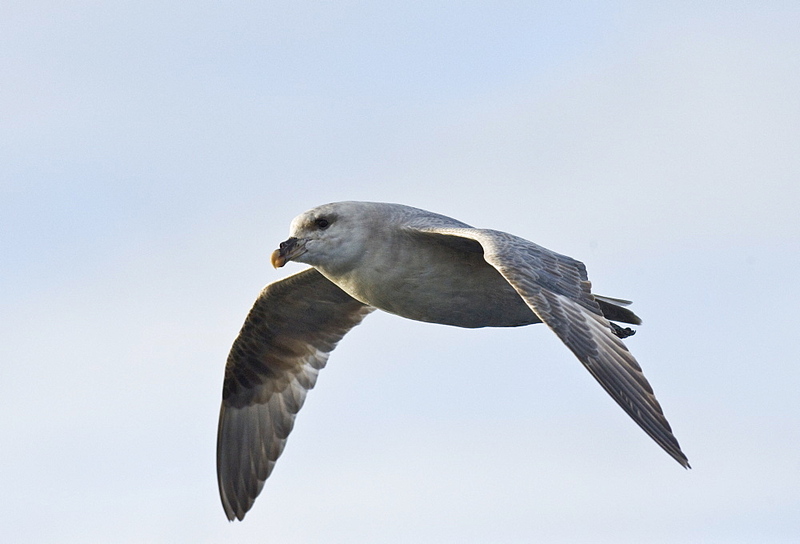 This petrel is sometimes also called the pintado petrel, the word pintado meaning &#34;painted&#34; in Spanish.